Notice City Hall jand Curtis Hixon Hall convention center with blue roof. 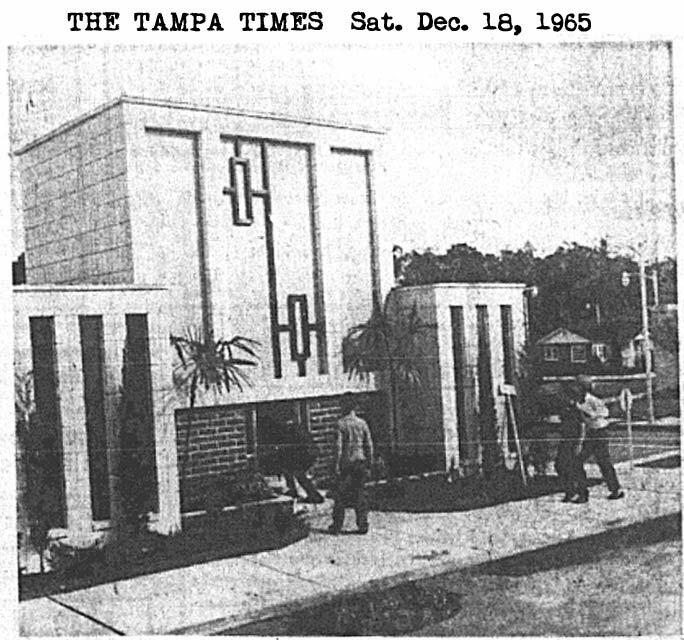 Tampa Times Safety Village Opening newspaper articles provided by Rex Gordon, Hillsborough High School Historian. 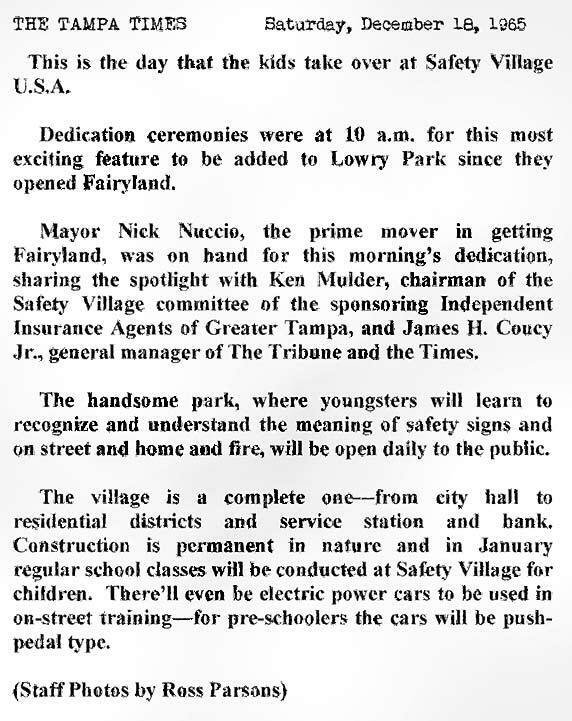 These are 2 pages from an 8 page, 3-fold Fairyland brochure seen on the Lowry Park History page. click again to see full size. 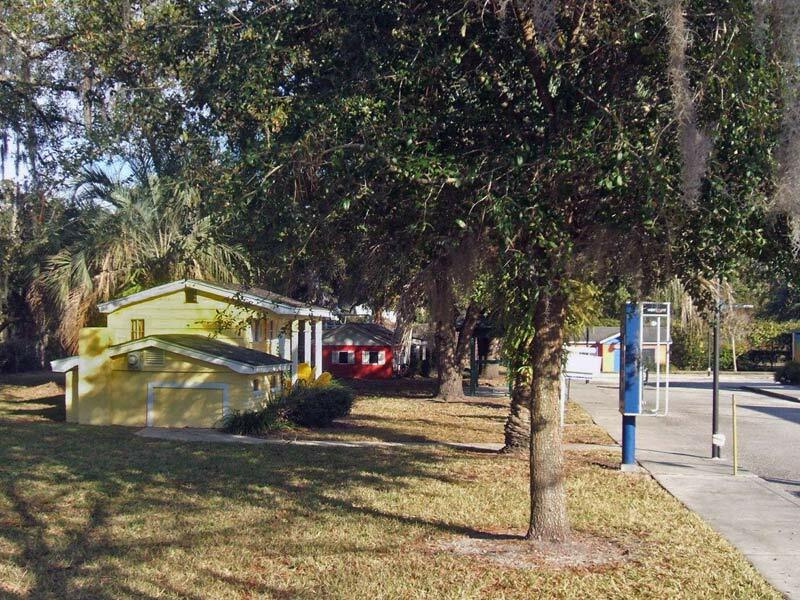 Boy and girl standing on sidewalk in front of Community Church, Safety Village at Lowry Park. Color postcard from eBay. 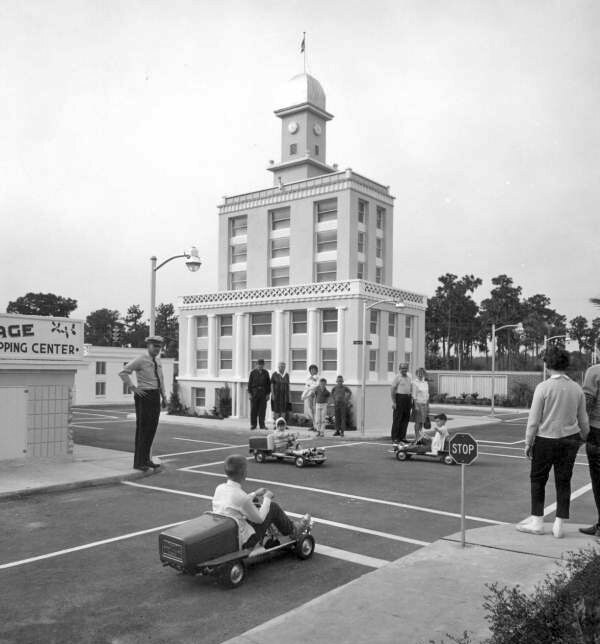 Go Karts on street near City Hall, Safety Village at Lowry Park circa 1965. 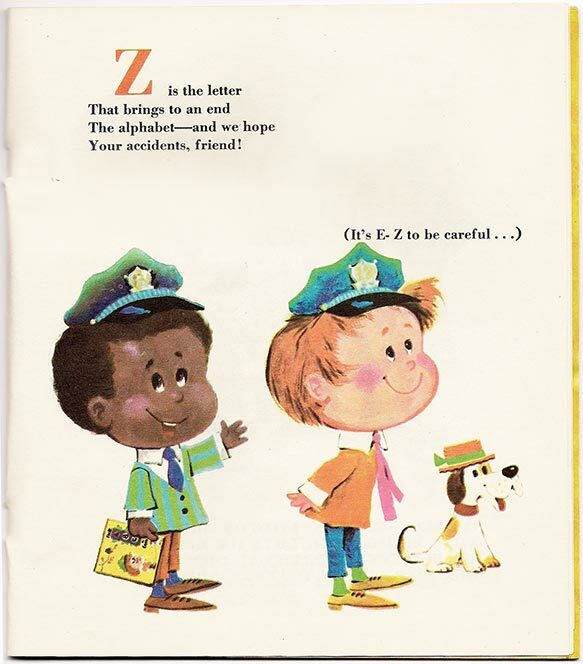 Color postcard from eBay. Tampa Mayor Nick Nuccio's niece, Karen Nuccio, first grader at Cleveland School, parks herself in the entrance of Safety Village City Hall and shows off the mayor's nameplate. Four potential financiers of tomorrow make a bee-line for close examination of a nice little bank in Safety Village. Lorlie Lee Brooks and her friend Byron Bland take a rapid swing around the sidewalk toward the Safety Village "Office Building on their way to see the sights. 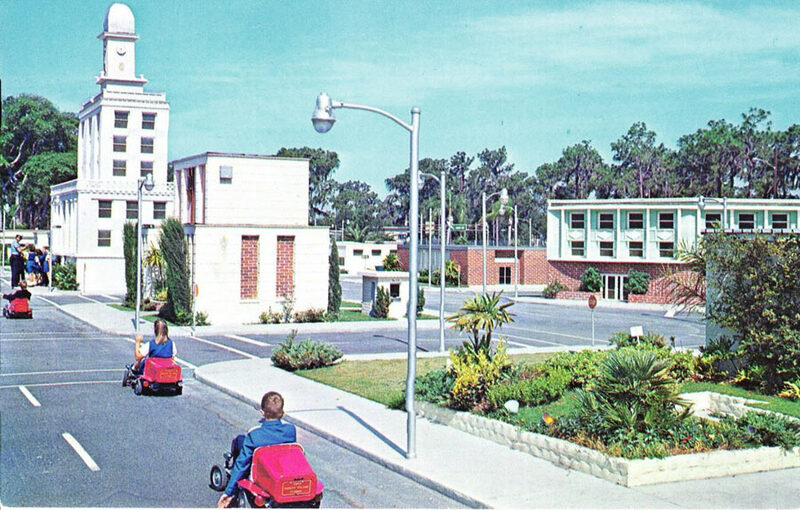 Safety Village color postcard, Police officer at main entrance, circa 1965. 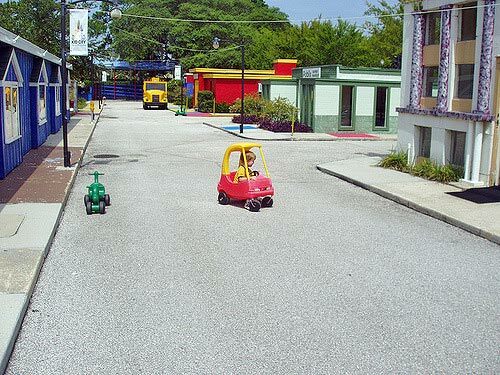 Two Cleveland School previewers of Safety Village find something interesting to explore--walking the rails of the miniature railroad track. 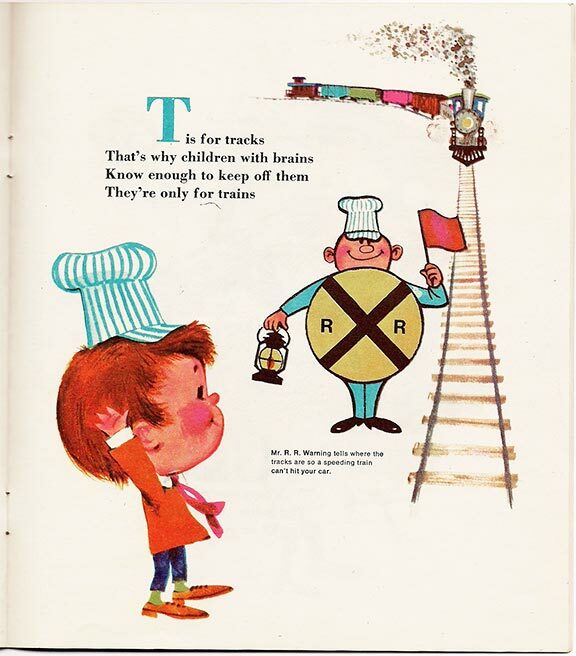 That's the station to the right and the kiddies are Cheryl Golby and Mike DeMott. 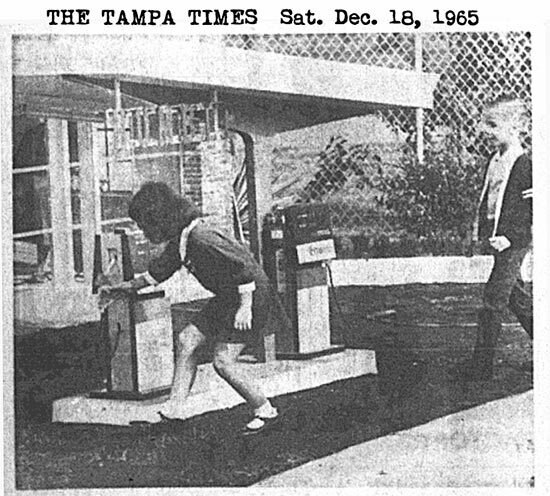 Cleveland School first graders Cheryl Golby and Mike DeMott discover the gasoline pumps are like real in this facsimile in Safety Village. 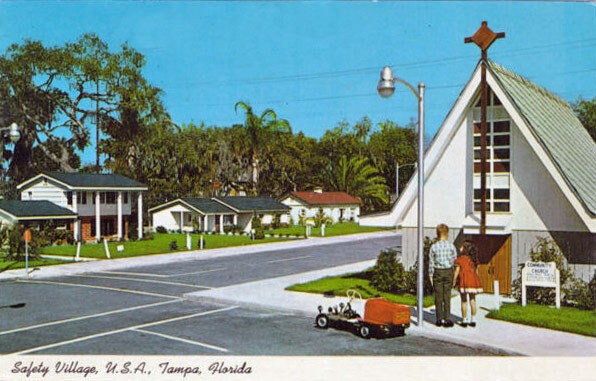 Many distinctive buildings of Tampa during that time were represented here in a scaled down setting. 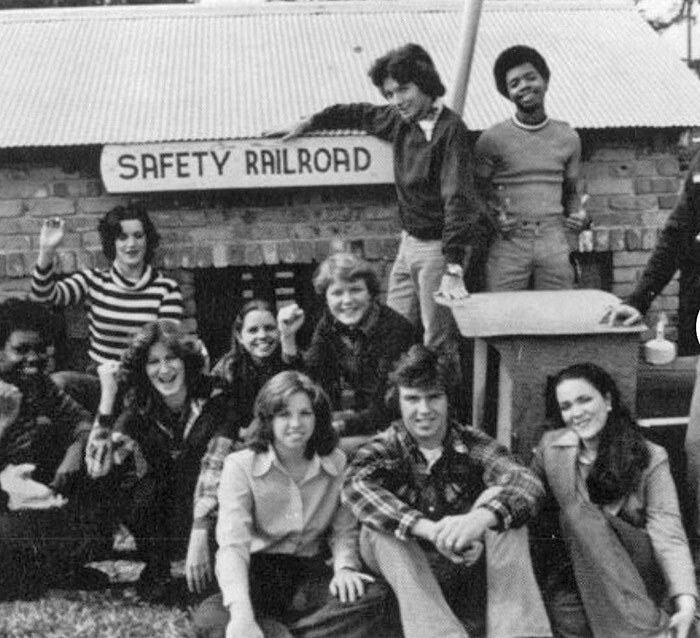 The attraction was a popular school field trip in the 1970s. It was a complete city with sidewalks, paved streets, working street lights, buildings which included a hospital, school and fire station. 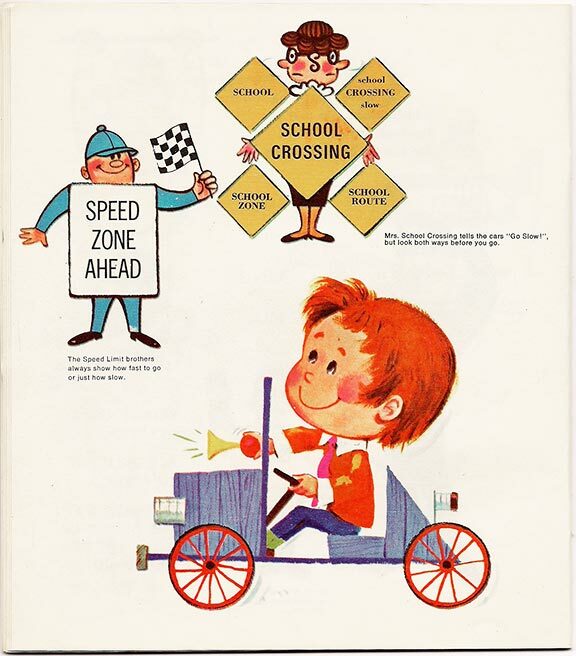 Safety Village was located right next to Fairyland and was touted as the "World's largest FREE safety school for children." Cleveland School first graders threw caution to winds when these two previewed Safety Village and discovered this gigantic stepladder made a perfect staircase for a miniature house climb. Mike DeMott told Debbie Smith: "Now I'm scared." These little first graders from Cleveland School, Mike DeMott, Debbie Smith and Cheryl Golby, find complete house just right for miniature housekeeping. 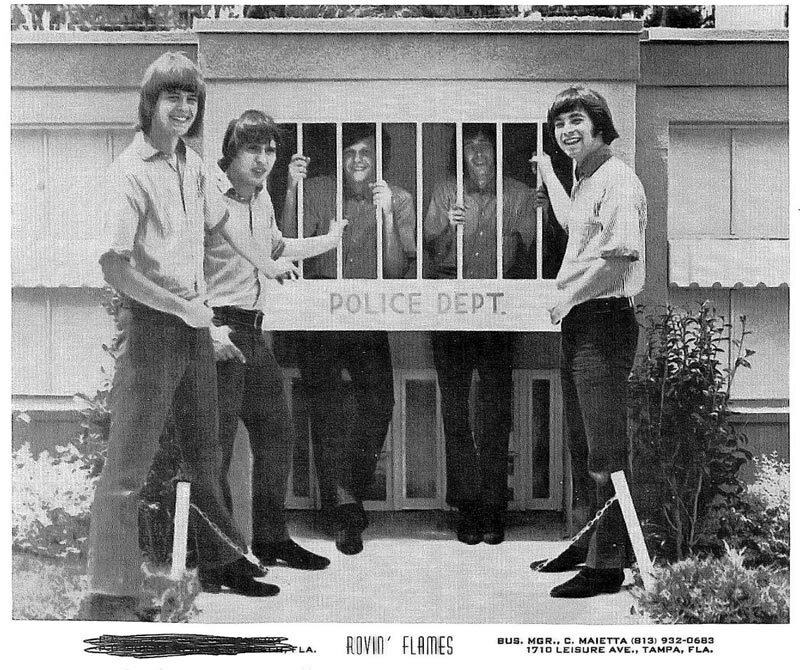 Local band the "Rovin' Flames" at the Safety Village Police Station, 1966. See a photo of the Rovin' Flames on the Lowry Park fire truck. 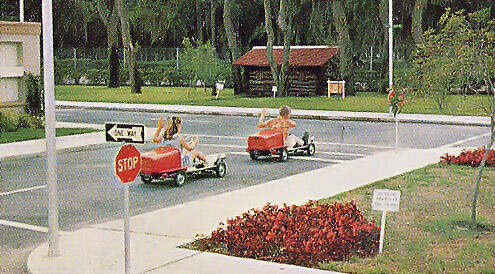 The Go-Karts were discontinued due to accidents and the need for frequent maintenance. 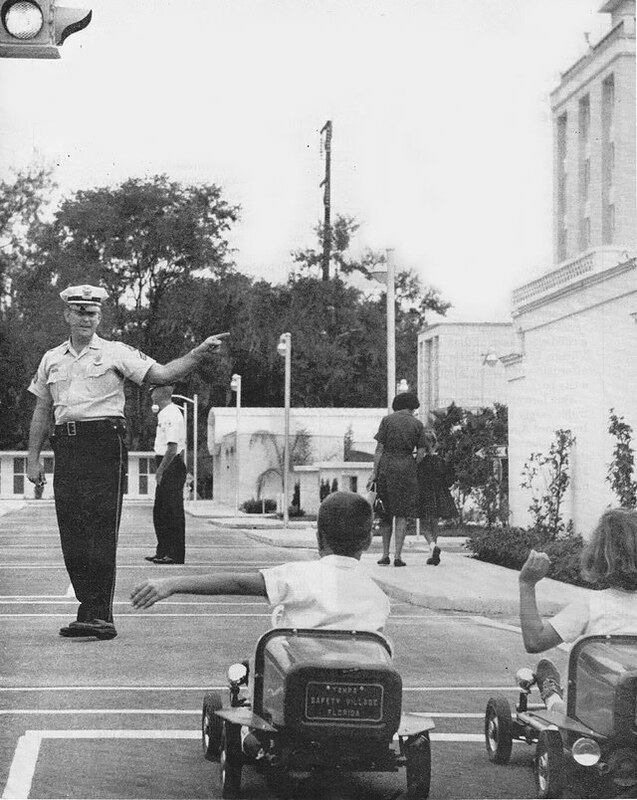 Coaster cars (go karts) in front of Tampa City Hall at Safety Village with police officer directing traffic, 1966. 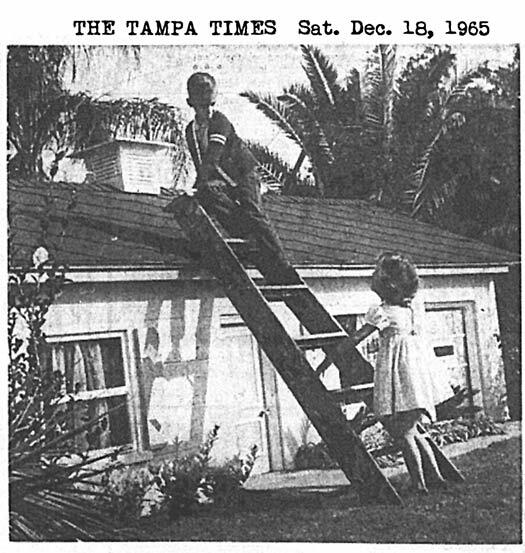 Jan. 5, 1966 Tampa Bay Times archives photo courtesy of Kimi Lau-Costanzo. 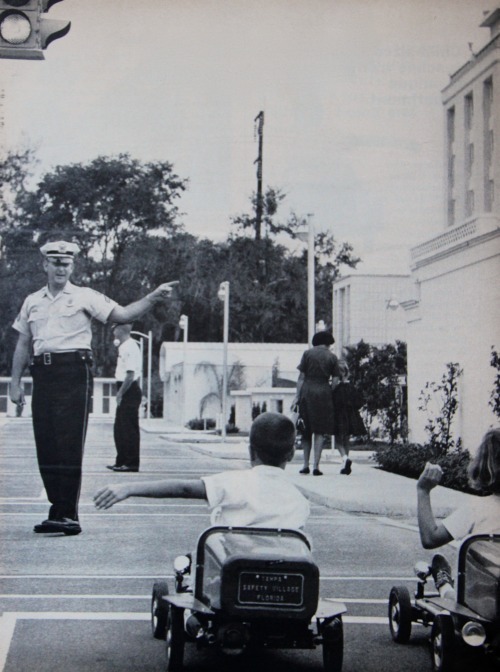 Children being taught road safety in the residential neighborhood at Safety Village, Lowry Park, circa 1966, Gettly images. Tampa Police Dept. 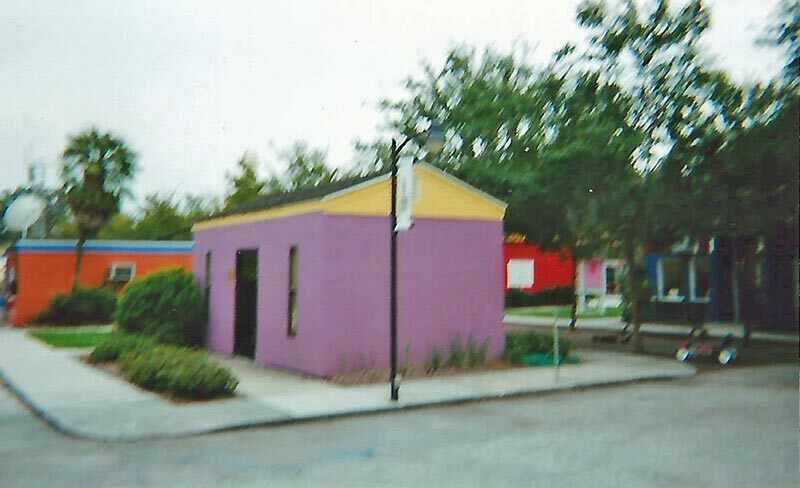 when it was located at 1710 North Tampa St. 1960s. P.J. 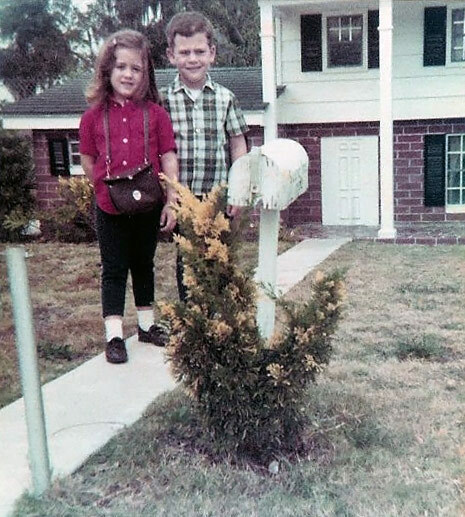 Shores and her brother in front of a split-level home at Safety Village, 1960s. Photo courtesy of P.J. Shores at the Facebook page "I support Safety Village..." etc. 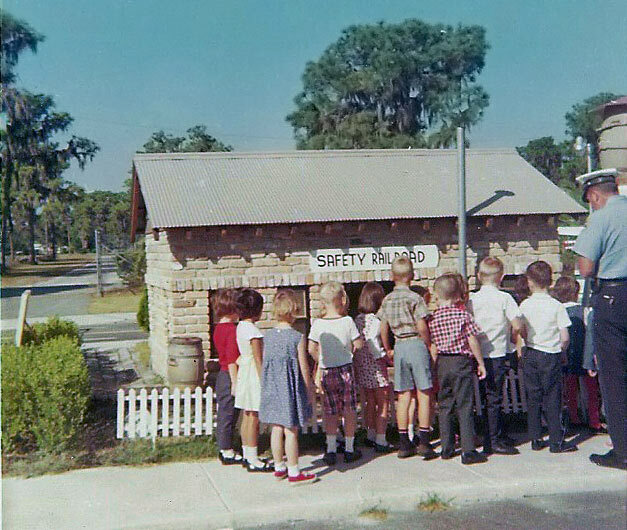 Karen Gordon Borden (wearing white dress, 2nd from left) with her kindergarten class at the Safety Railroad station at Safety Village, 1966. Photo provided by Karen's brother, Rex Gordon, Hillsborough High School historian. Karen Gordon Borden and her brother Alan Gordon, with their great aunt Cora Wood (holding Karen's & Alan's brother, Rex.) 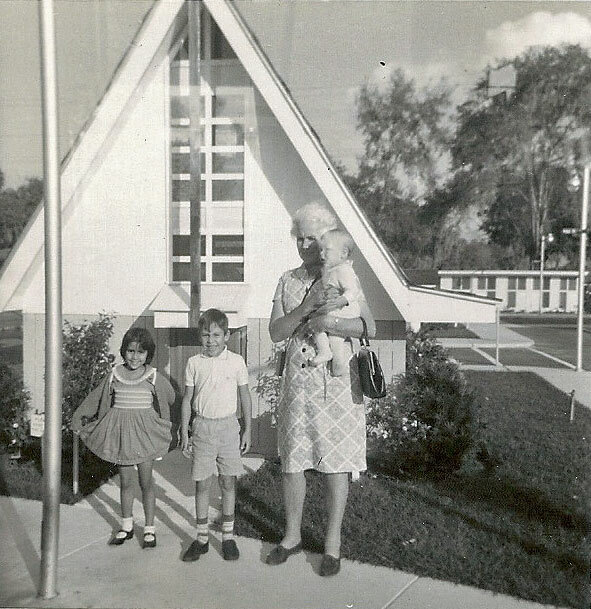 Jan. 1967 at the Safety Village church. 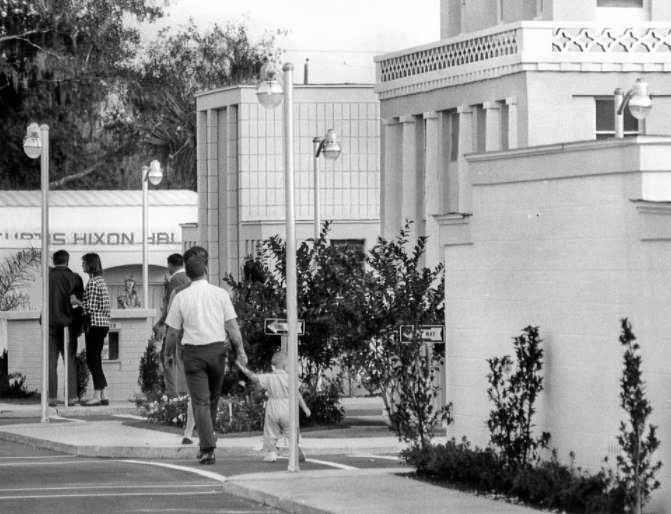 Photo provided by Rex Gordon, Hillsborough High School historian. 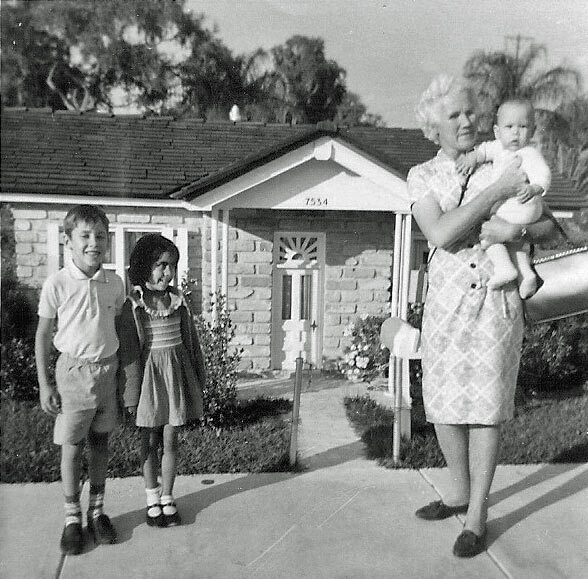 Alan Gordon and his sister, Karen Gordon Borden, with their great aunt Cora Wood (holding Alan's & Karen's brother, Rex.) 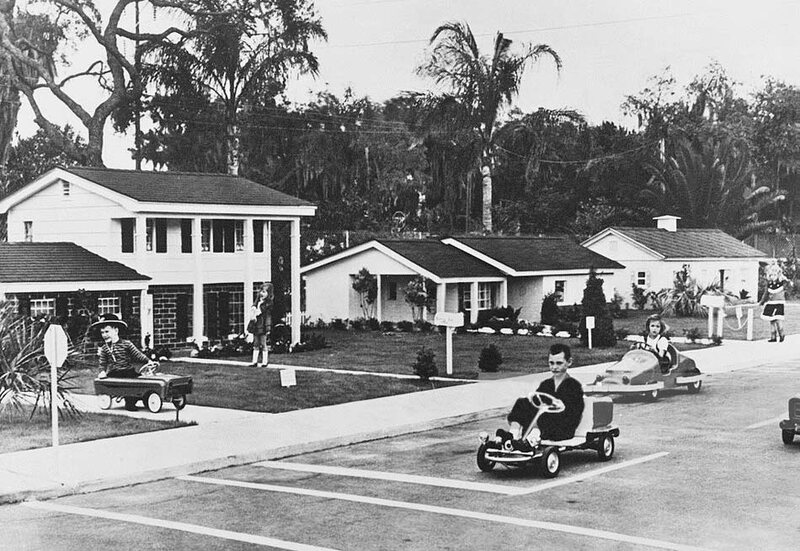 Jan. 1967 at Safety Village in front of a house in the residential section. 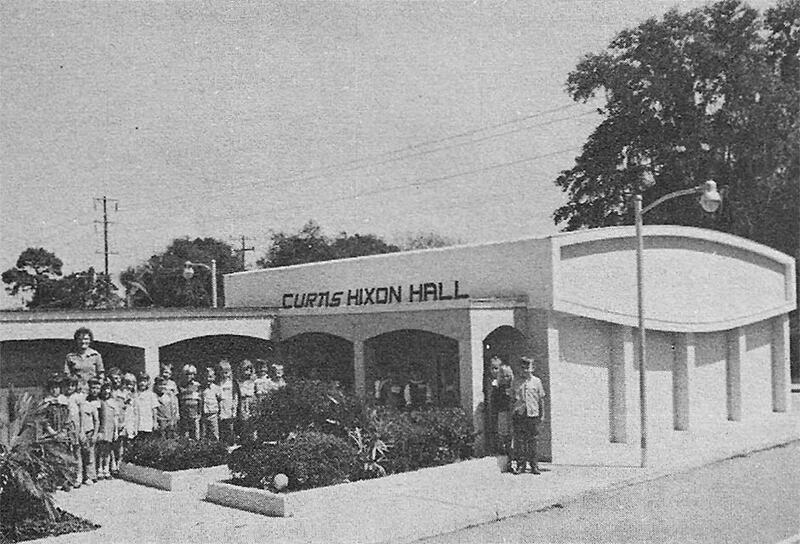 Photo provided by Rex Gordon, Hillsborough High School historian. Photo and description provided by Robert D. Floyd from the Clint Baker collection. 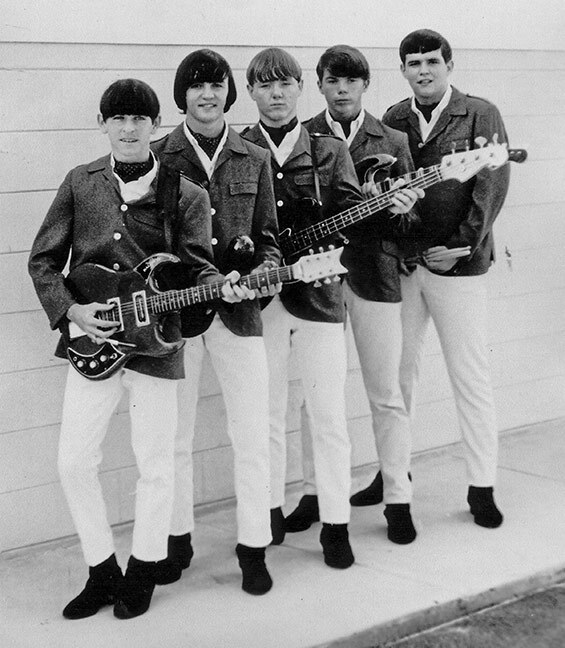 L to R: Richard Porter, David Lane, Joe Fletcher, the late Billy Jones (former lead guitar of "The Outlaws" Southern Rock band), and Clint Baker. Photo courtesy of Robert D. Floyd from the Clint Baker Collection. 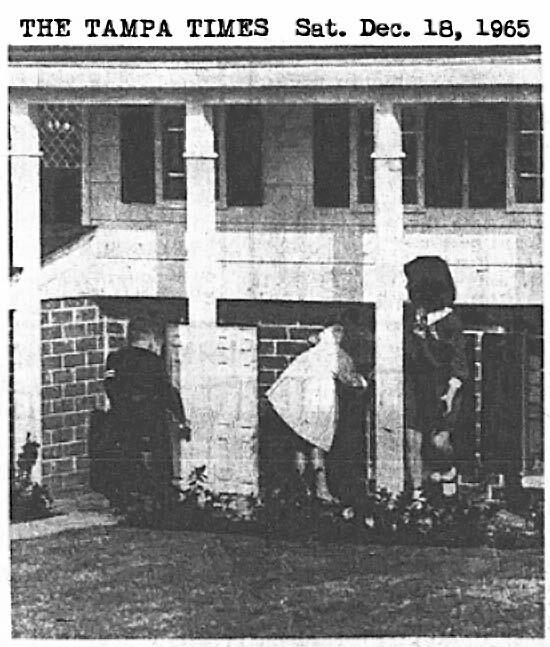 1968 Safety Village Digitally altered and enhanced license from Sheila Skaggs. 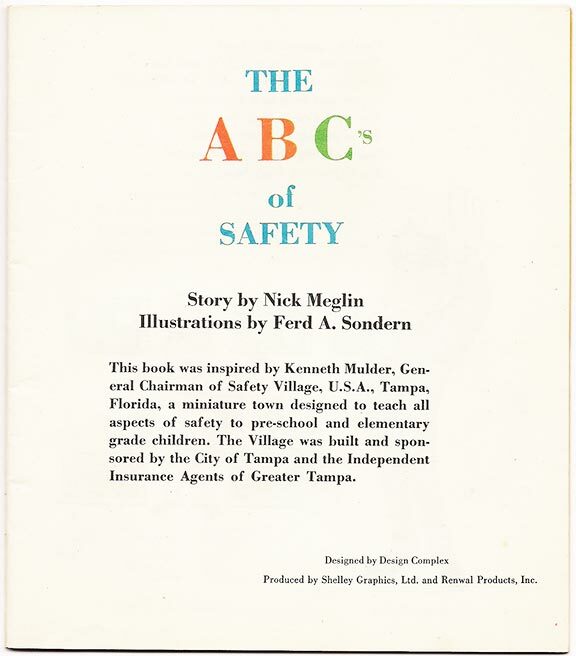 This book was inspired by Kenneth Mulder, General Chairman of Safety Village, U.S.A., Tampa, Florida, a miniature town designed to teach all aspects of safety to pre-school and elementary grade children. 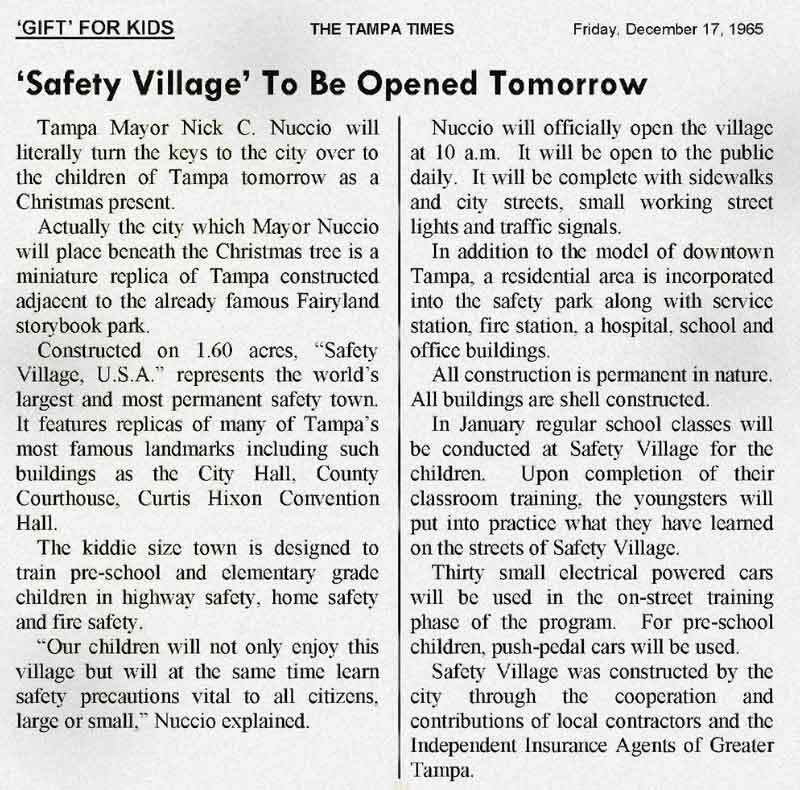 The Village was built and sponsored by the City of Tampa and the Independent Insurance Agents of Greater Tampa. Thanks to Kimi Lau-Costanzo (owner of the book) for providing these images. Click on a page to see it larger. See a PDF of all the pages here at TampaPix on Dropbox. KENNETH W. MULDER, President of the Tampa Historical Society, is personally responsible for over 200 new members of the Society this year. A native Tampan, he is a member of the Hillsborough County Historical Society, Barrio Latino Commission, Fort Brooke Commission, Florida Historical Society and the Central Gulf Coast Archaeological Society. Ken has spent a lifetime in archaeological research along Florida’s west coast, including every existing Indian mound from Cedar Key to Key West. Ken has done research in Indian, Spanish and Early Florida History in Madrid, Toledo, Avilia, Segovia, Spain; Mexico City, the Island of Roatan, Central America; St. Thomas, St. Johns, the Virgin Islands; and Bimini, Nassau, Bahamas. Ken is a freelance outdoor writer for the Tampa Tribune and other periodicals. He attended Plant High School, the University of Florida, and the University of Tampa. He taught insurance at the University of Tampa for 25 years. 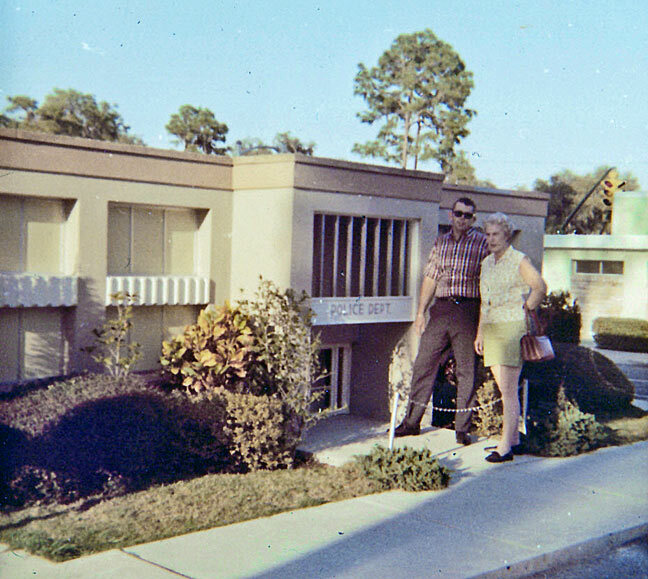 In spite of all his civic and community service activities, Ken is consistently among the three top commercial insurance agents at the Tampa Office of Poe & Associates, Inc.
Curtis Hixon Hall at Safety Village, 1971. 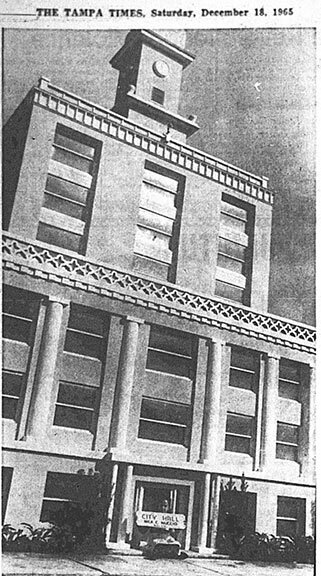 Photo by R. Randolph Stevens provided by Hillsborough High School historian, Rex Gordon. 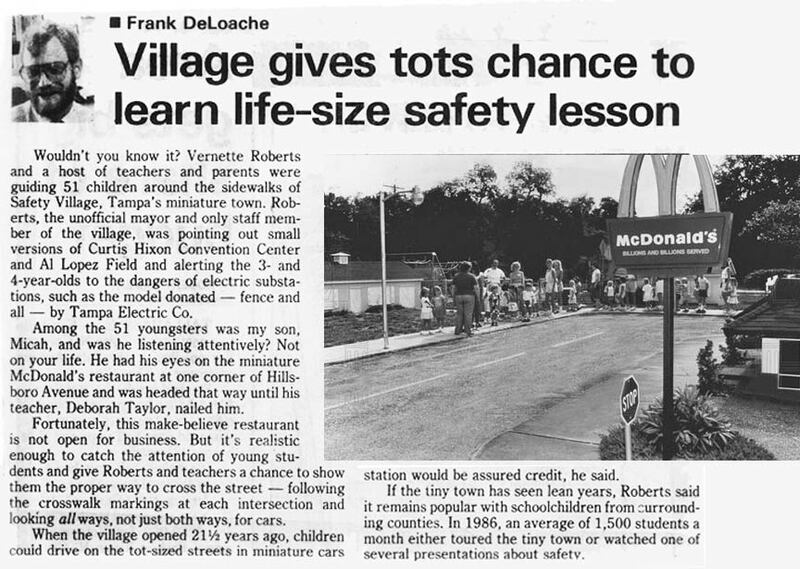 Safety Village feature by Bob Hite of NewsWatch 8, possibly 1970s. From a YouTube video by "Bob Hite" here. 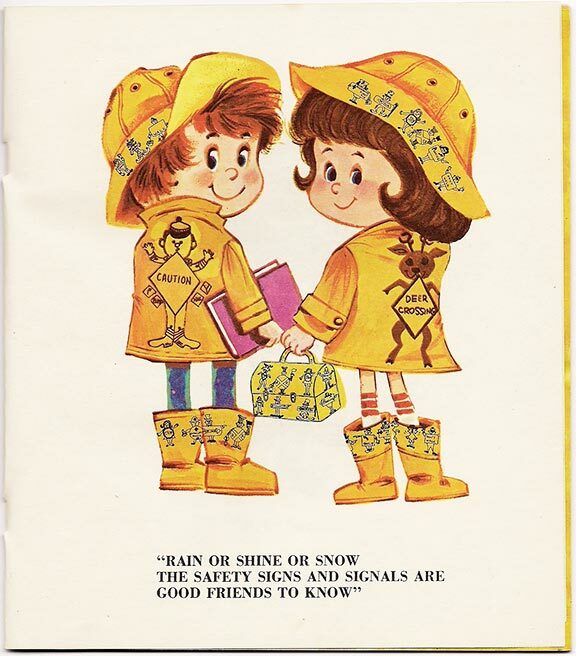 October 10 1977..A group of children learn to use the telephone in an emergency, Safety Village. Photo & caption from Tampa Bay Times archives courtesy of Kimi Lau-Costanzo. 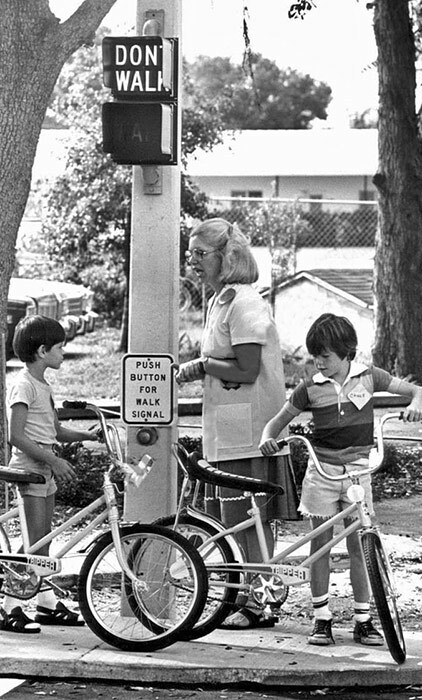 Oct. 10, 1977 - Lessons on bicycle safety are a major program at Safety Village. Photo & caption from Tampa Bay Times archives courtesy of Kimi Lau-Costanzo. 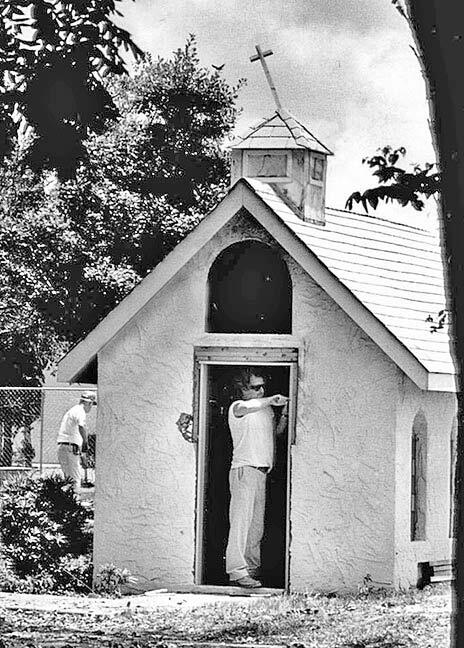 May 30, 1987 - Joe Reilly does carpentry work on the church entrance at Safety Village. Photo & caption from Tampa Bay Times archives courtesy of Kimi Lau-Costanzo. Photo provided courtesy of Alida Rakocy O'Donovan by Bud Clark. 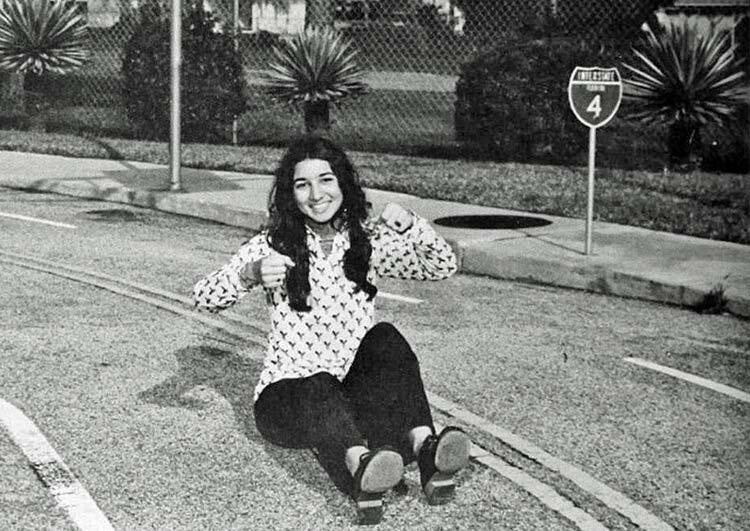 Alida Rakocy O'Donovan drives her invisible car on Interstate 4. 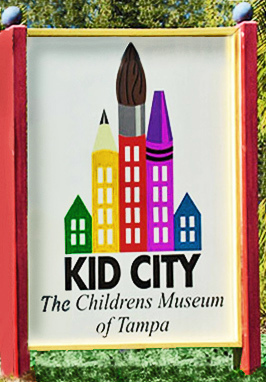 Kid City got its start as the Children's Museum of Tampa in 1986 with Marian Winters and her friend Shelley Grossbard, who previously lived in Boston, a city with a renowned Children's Museum. The Tampa Children's Museum came about as an answer to every parent's age-old question, "Where can we take our children on a rainy day?" 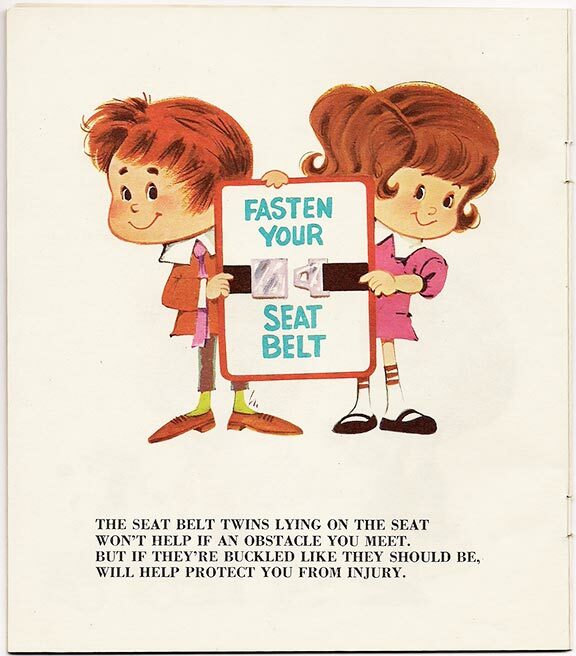 "Our daughters were friends and Shelley said one day, 'Let's bring our kids to the Children's Museum and I said, 'What's that" Winters recalled. "She came from Boston. She thought there was one here." So the two raised $18,000 and opened the Children's Museum of Tampa. 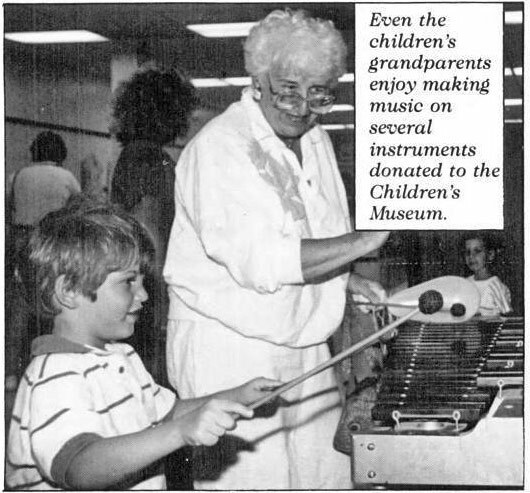 The museum's 1986-87 budget called for $68,600 in expenditures but had only $7,700 of expected incoming donations. 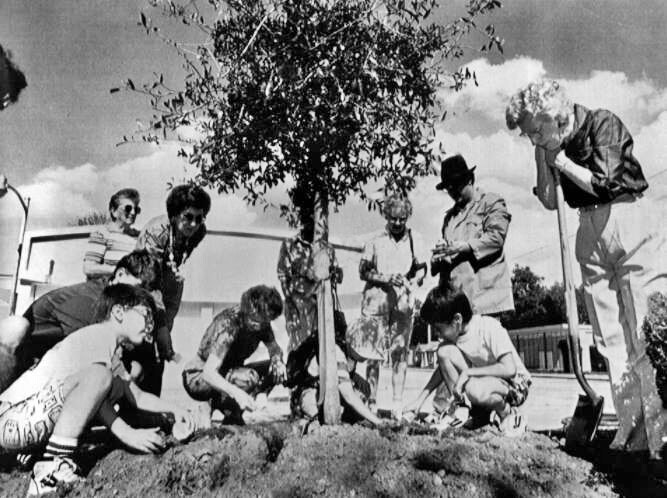 But the largest donation wasn't capital, it came in the form of 24,000 square feet of space in the Floriland Mall, in a storefront given by the mall's successive owners, the Juster Development Corp. and the Davis Villamill Corp. Marian and Shelley equipped the new museum with a bubble machine and a zoetrope. "We were hoping to have maybe 25 kids a week, and we had 300 people the first day," Winters said. 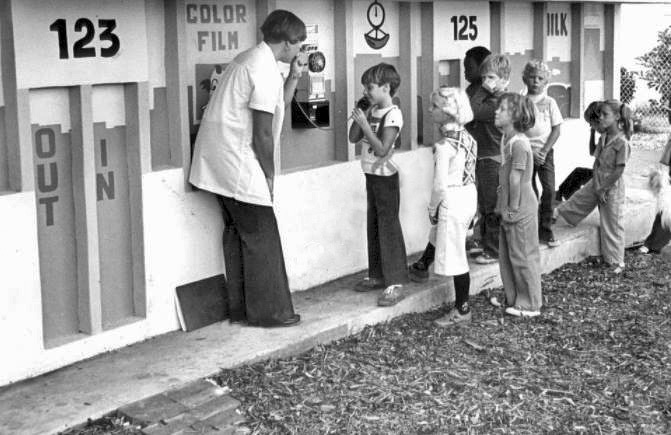 Admission was $1. 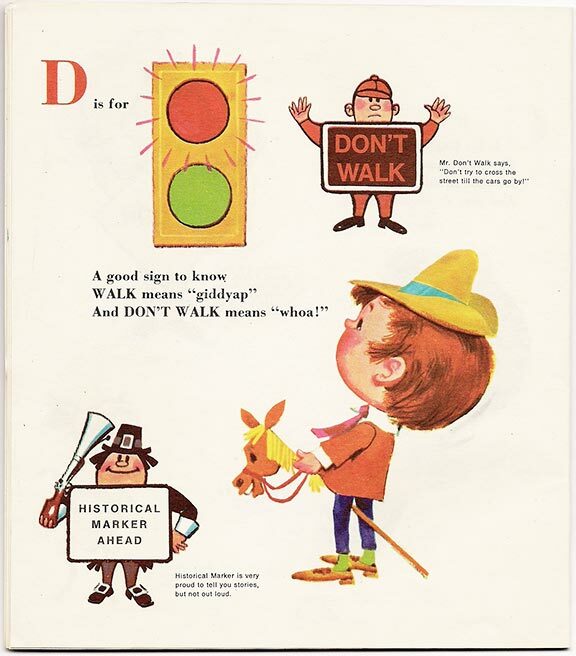 It was a place where 2 to 12-year-olds could participate and pretend to work like their parents--with an old-fashioned telephone switchboard, or in a kid-size grocery store, post office, doctor's office, or comic strip publishing center. Children were were to be accompanied by adults, whether parents or guardians. The adults became kids again, playing adult roles, such as in the grocery store, where they made lists, stocked shelves, and checked out purchases. In March of 1988, Dennis & Carol brought their snake show to the Children's Museum at Floriland Mall to give children a closer look at them. 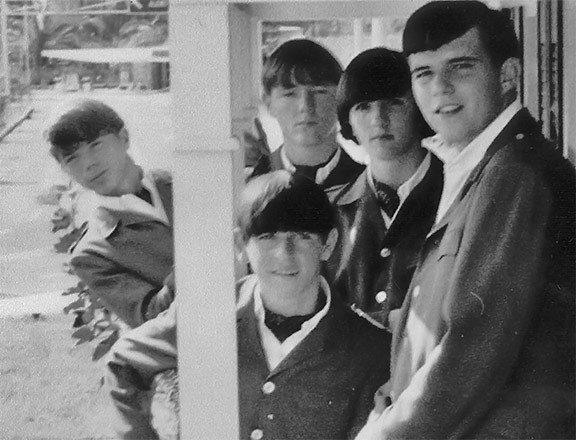 The Moores performed with the snakes at Busch Gardens and often took them on the road as stars of the Snakes Alive! show. 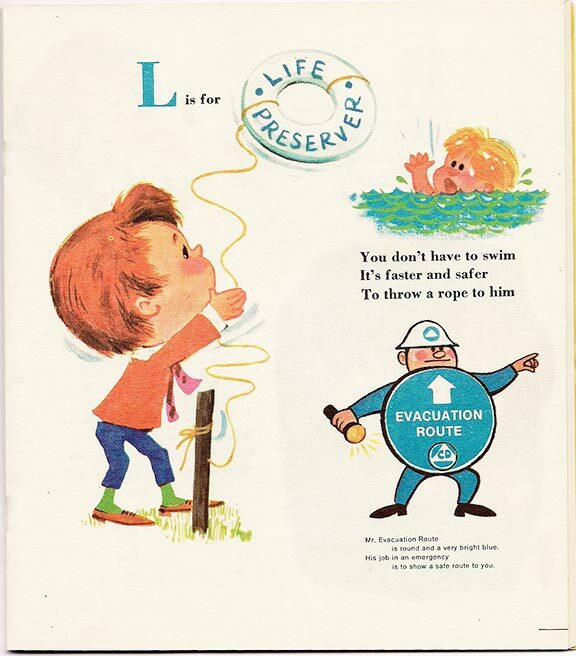 The show was an educational program designed to shed the reptiles' reputation as slimy, scary creatures and to teach children that most snakes are harmless and helpful to the environment. 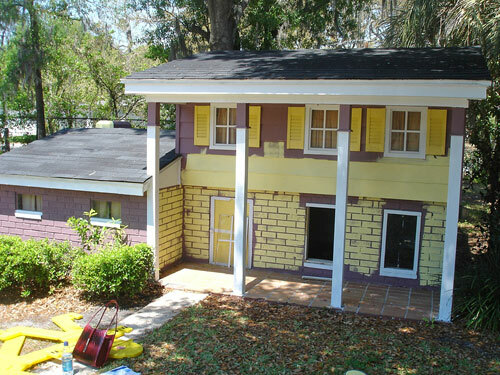 The City of Tampa, having its own budget problems, was unable to donate funds to the museum, but its park director Joe Abrahams assisted in locating city property for a permanent home for the museum. 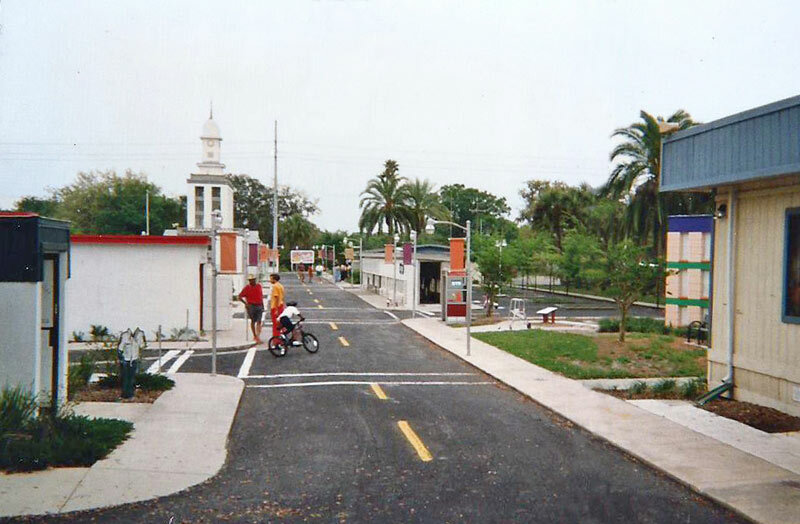 In 1989 museum backers negotiated a deal with the city of Tampa to lease Safety Village for $1 a year and in 1990 the museum relocated to the old Safety Village location north of Lowry Park. 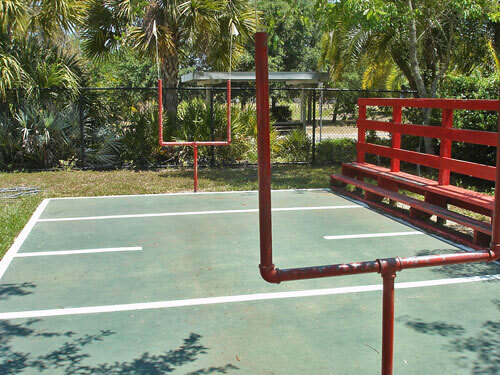 and the tree was donated by the Tampa Parks Department. 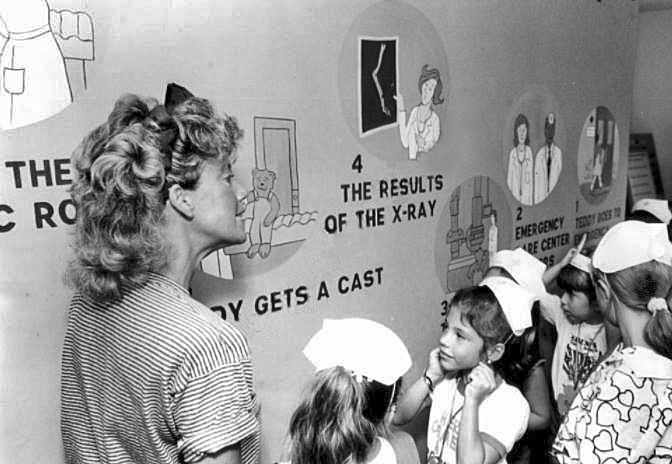 August 17, 1990 - Marian Winters (Children's Museum co-founder) tells girls from Brownie Troop about the mural. 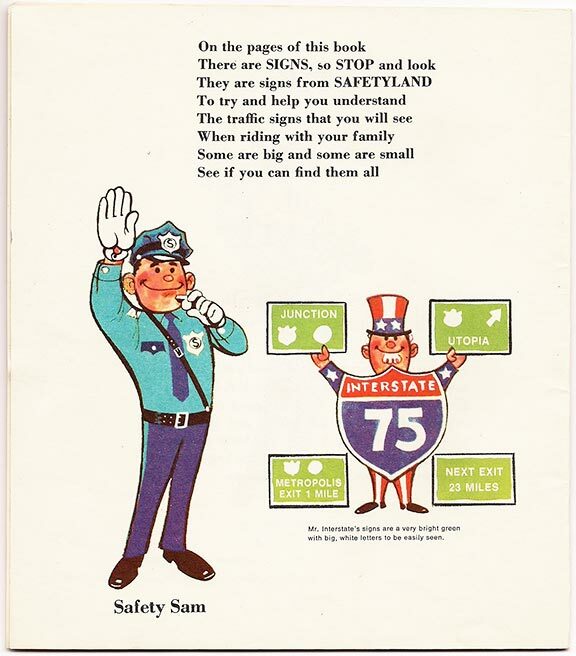 It is an exhibit at Safety Village. Photo & caption from Tampa Bay Times archives courtesy of Kimi Lau-Costanzo. 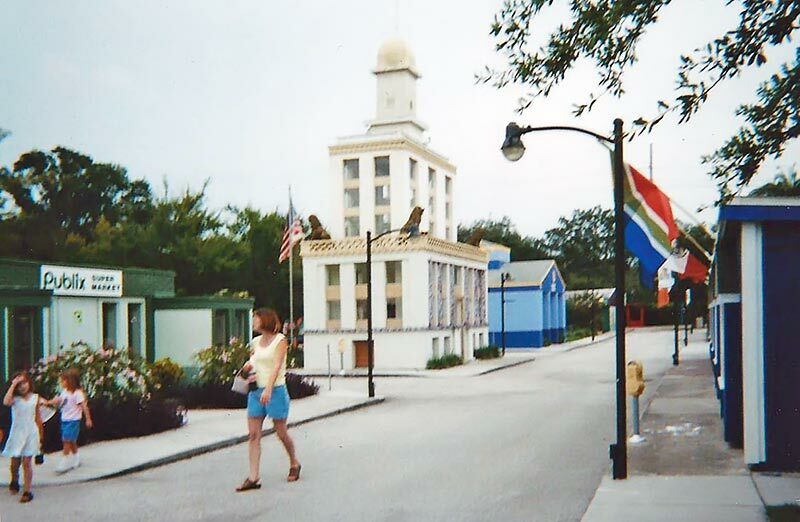 In February of 1992, admission to the museum was $2 for adults, $1.75 for the elderly and free to those 2 and younger, with Safety Village being included as part of the museum. Mar. 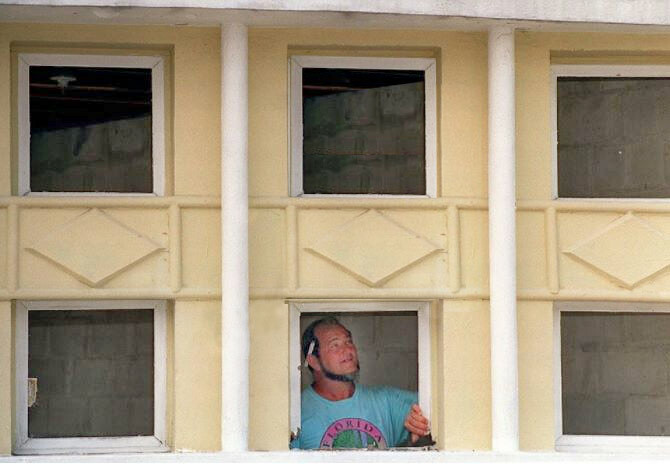 1, 1994 - Edward Barker with Diaz/Fritz construction looks over window casings in one of the buildings (University Community Hospital in the more recent years) at Safety Village near Lowry Park, which is in the middle of total renovation for the child-sized display of Tampa. 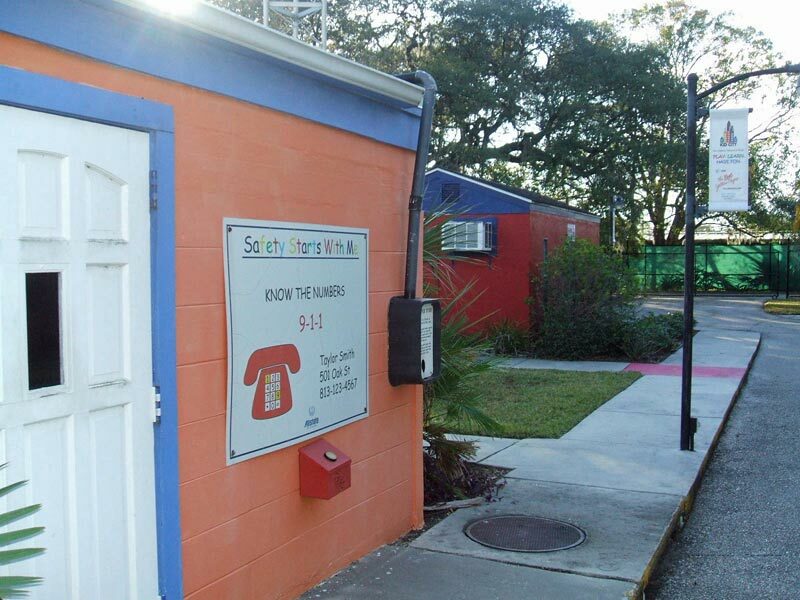 The grand reopening celebration for Safety Village is planned for Saturday, April 30th. Tampa Bay Times photo provided by Kimi Lau-Costanzo. 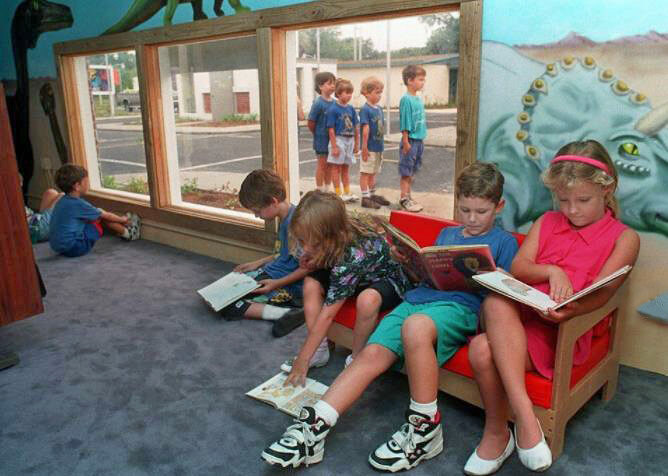 June 3, 1994 - Students from Sanders Elementary School (Pasco County) enjoy the newly renovated Safety Village as they sit inside the Peoples Gas building and look through books. The kids are now able to walk through each building and participate in the activities that are placed inside. 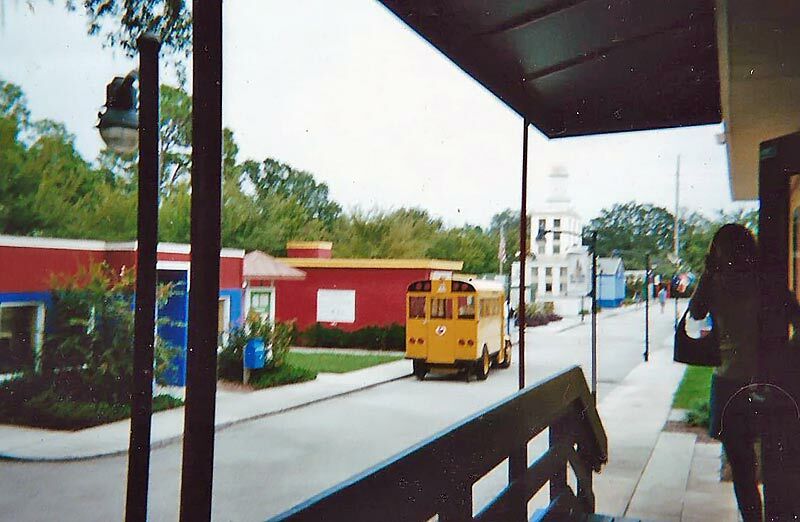 Before the renovation, kids could only look through the windows. 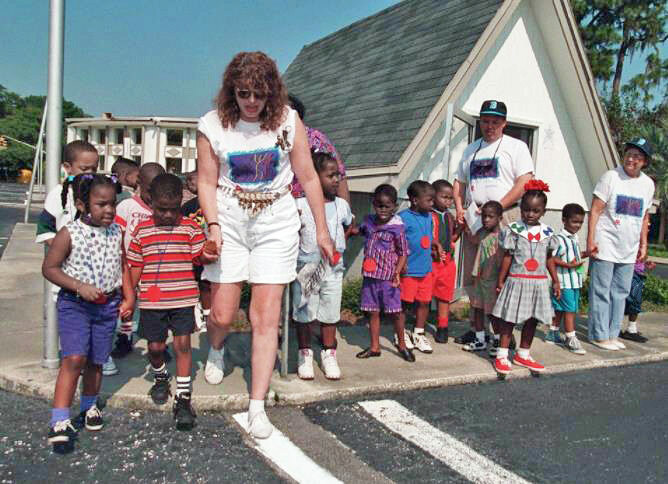 Aug. 31, 1994 -The United Way's "Day of Caring" is designed to kick off the 1994 United Way Campaign and show volunteers and donors firsthand how United Way agencies are at work. Instead of doing their usual jobs, teams of volunteers from businesses and organizations were matched with United Way agencies for a day of volunteer service. At Safety Village, Burdines employees escorted four and five year olds from Helping Hand Day Nursery on a field trip. Abby Blackburn helps start a group of children across a street in the Village. 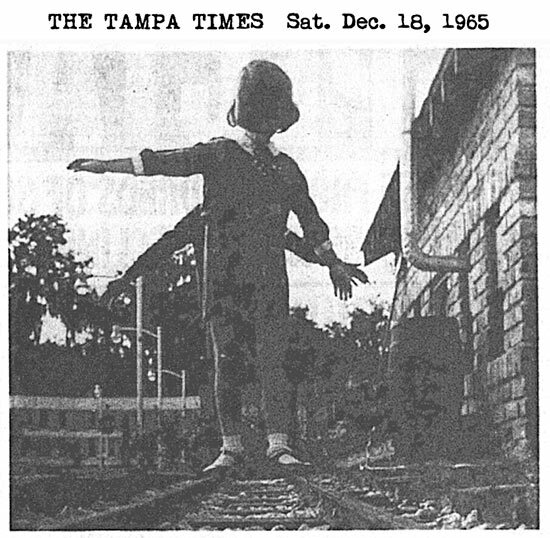 Photo & caption from Tampa Bay Times archives courtesy of Kimi Lau-Costanzo. 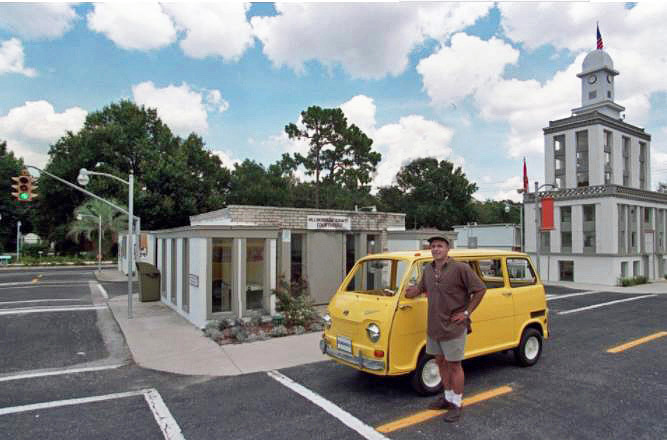 July 22, 1996 - Tony Michaud with his tiny 1969 Subaru van at the Children's Museum of Tampa at Safety Village in Lowry Park. 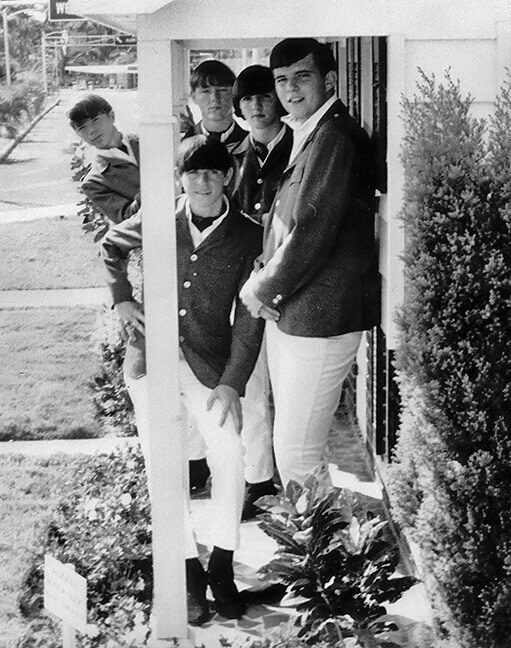 Photo from Tampa Bay Times archives courtesy of Kimi Lau-Costanzo. The photos below are from 1996-97 and were contributed by Ryan Martin. 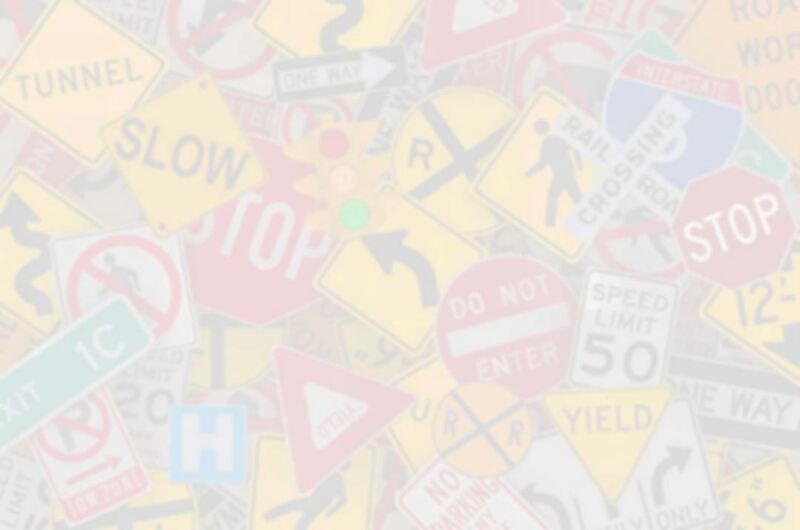 In his "spare time," Ryan is attempting to reconstruct the original Safety Village digitally using old photos and any video. 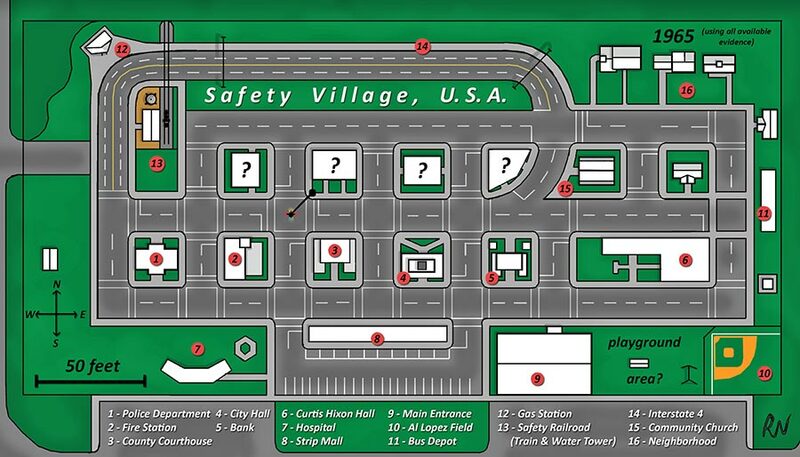 From photos he's seen so far, and from his own memories, Ryan has created this digital map showing the layout of Safety Village. 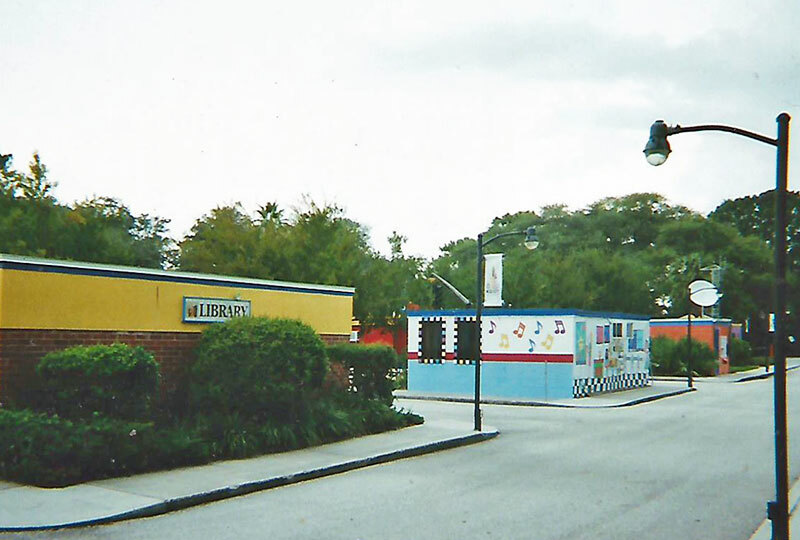 If you have any old photos of Safety Village, before it became Kid City in the late 1980s, or even afterwards, please send a message to me at email below. 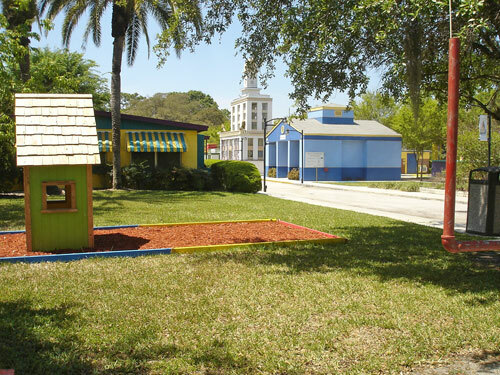 You can help Ryan bring this great old place back to life so we can once again relive our childhood memories of Safety Village, USA! Ryan has recently turned his passion from creating a digital Safety Village to REBUILDING the children's attraction as SAFETY CITY in real life! This is a HUGE undertaking so he needs all the help he can get. Check out his Facebook group and help Ryan in any way you can. 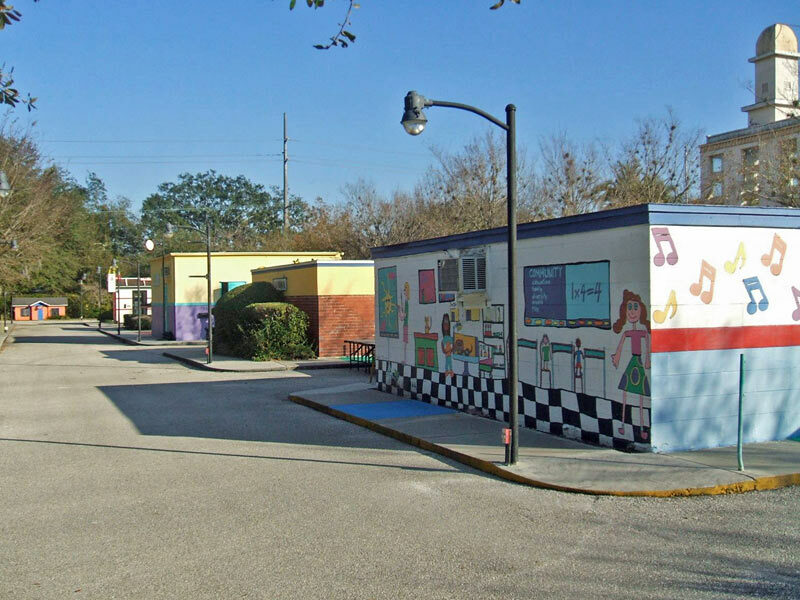 Special thanks to Ryan Martin for providing these photos of Safety Village below. 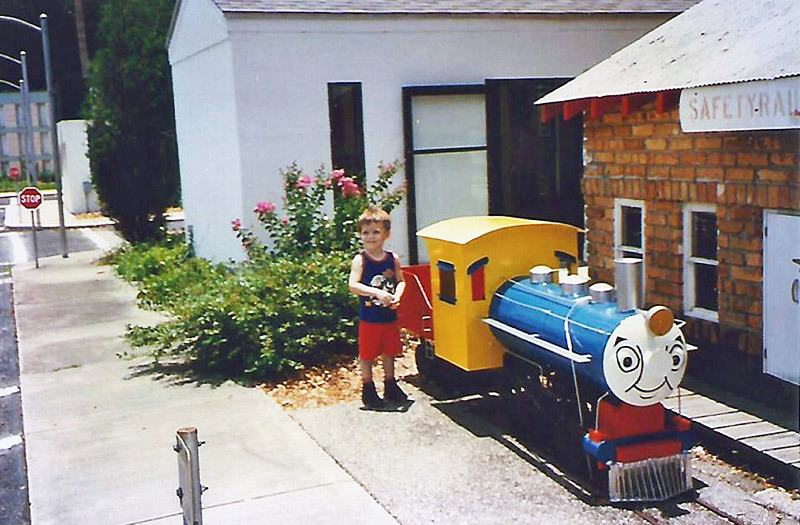 Ryan Martin at the Safety railroad station, Safety Village, circa 1996-97. Photo courtesy of Ryan Martin. 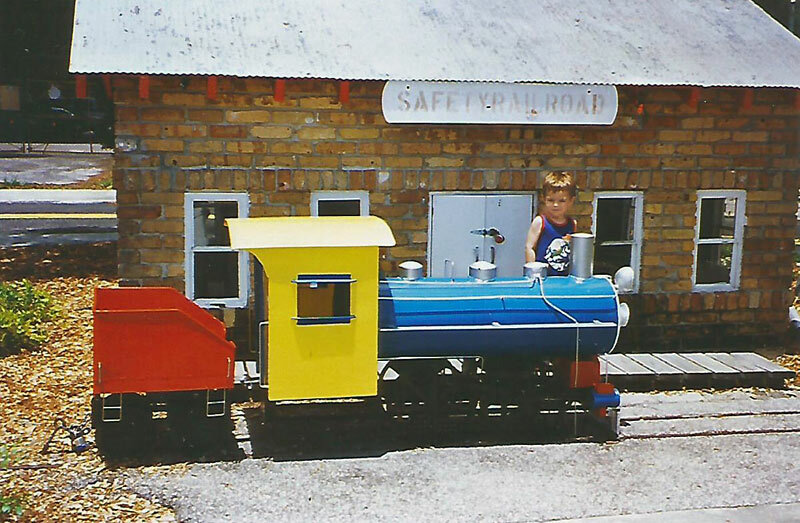 Ryan Martin at the Safetyrailroad station, Safety Village, circa 1996-97. 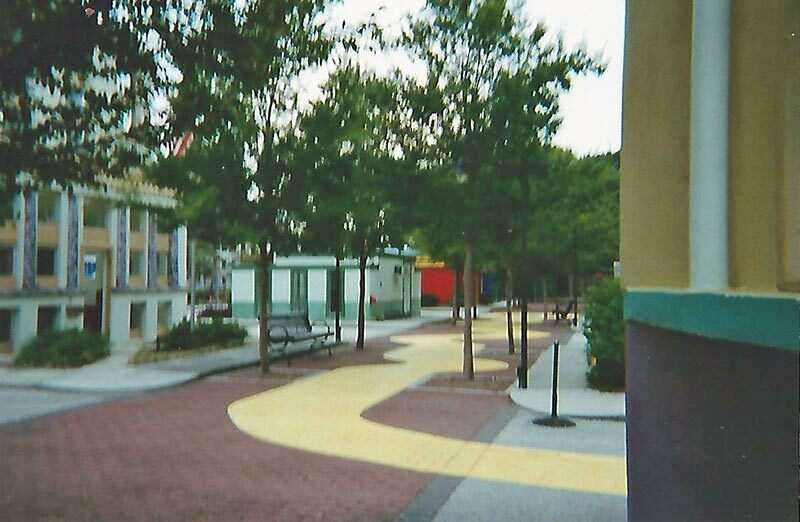 Safety Village street scene, March 1997. 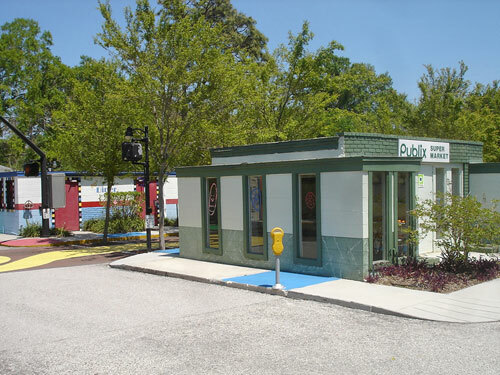 Miniature model of downtown, the Hillsborough River and the harbor, Safety Village. 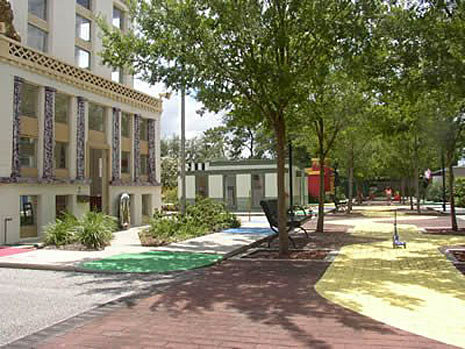 In January 1999, the new image of Safety Village was unveiled as Kid City: the Children’s Museum of Tampa. 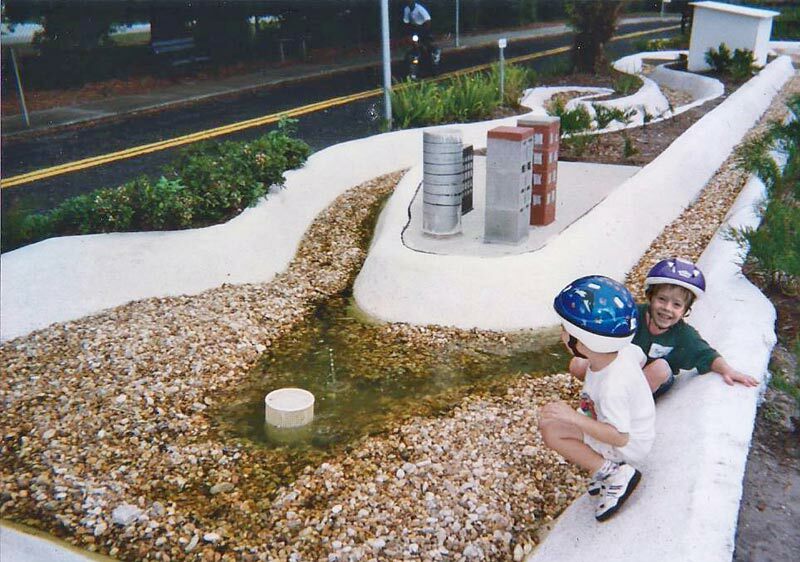 In September 2001, a new toddler exhibit opened, providing two new learning environments for its youngest visitors. 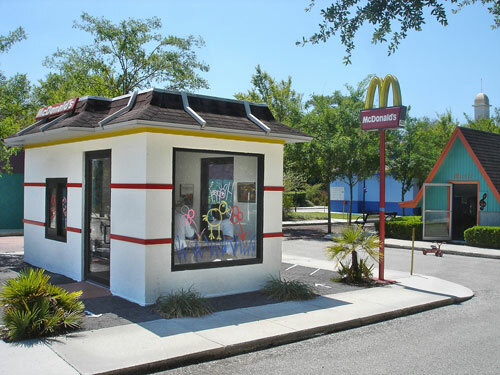 The buildings were made a bit taller so children could actually go into the insurance office, fire station, radio station, McDonald's, Publix and City Hall. Kid City became home to bike safety classes, babysitting classes, Brownie troop activities — and birthday parties. Planning for a new, larger museum began in the late 1990s, said Sandy Murman, chairman of the capital campaign that raised $20.5-million for the project. 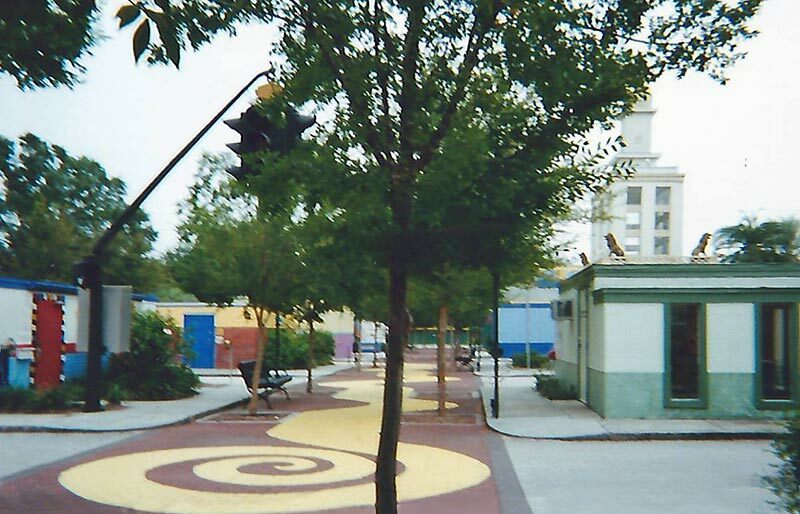 In 2004, Mayor Pam Iorio offered a downtown parcel for the museum, envisioning it as part of a cultural arts district that included a new Tampa Museum of Art, the Tampa Bay Performing Arts Center and a renovated Curtis Hixon Park. 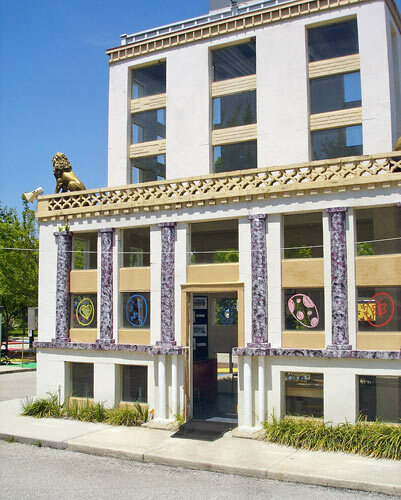 A long-range plan was completed in 2003 to establish goals for continued growth of the Museum, including acquisition of a new site, construction of new facilities, expanded programming, and fundraising to support its growth. 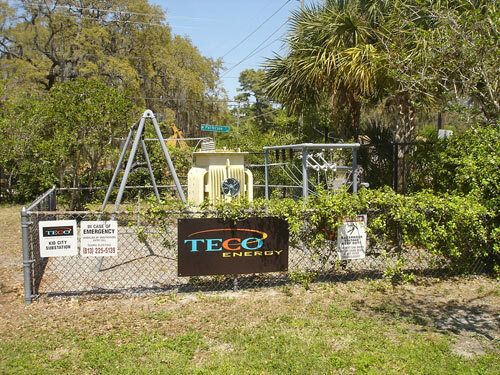 In 2004, a feasibility study to launch a capital campaign was conducted by Ketchum fundraising consultants and a capital campaign committee was formed to raise funds for a new facility. 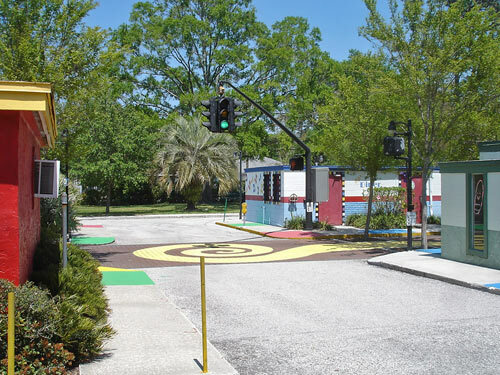 An exhibit master plan was developed based on input from a series of focus groups made up of diverse community participants, including community leaders, parents and children. 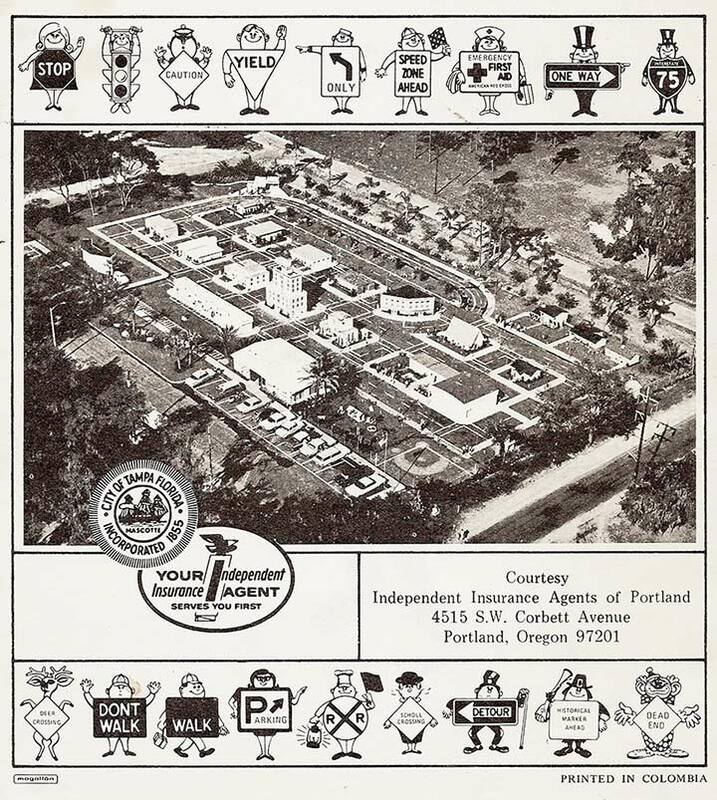 If you have any old photos of Safety Village, before it became Kid City in the late 1980s, please contact Ryan Martin at his Facebook page. He is reconstructing Safety Village digitally according to his memory of it and old photos! 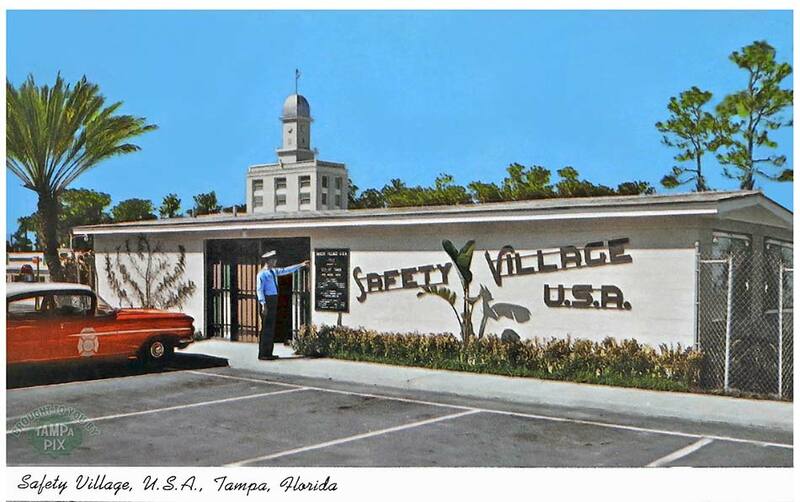 You can help him bring this great old place back to life so we can once again relive our childhood memories of Safety Village, USA! Below photos of Kid City 2004 taken with a disposable camera by Ryan Martin. 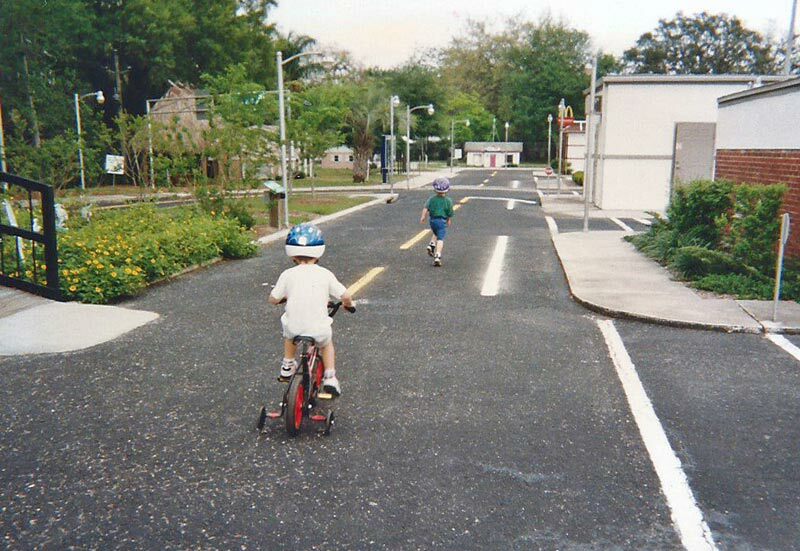 If you have any old photos of Safety Village, before it became Kid City in the late 1980s, or even afterwards, please contact Ryan Martin at his Facebook page. He is reconstructing Safety Village digitally according to his memory of it and old photos! 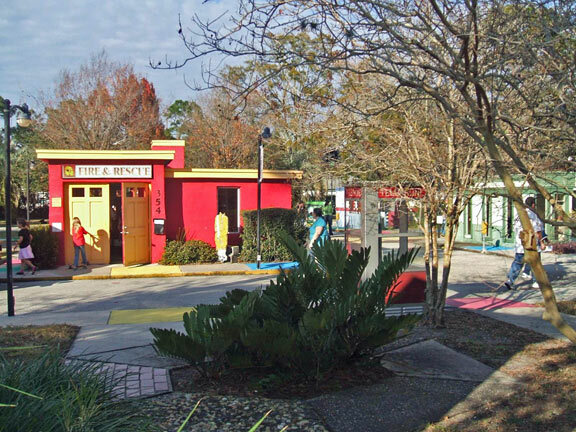 Fire & Rescue Station at Kid City, 2007. Photo courtesy of Ryan Martin. 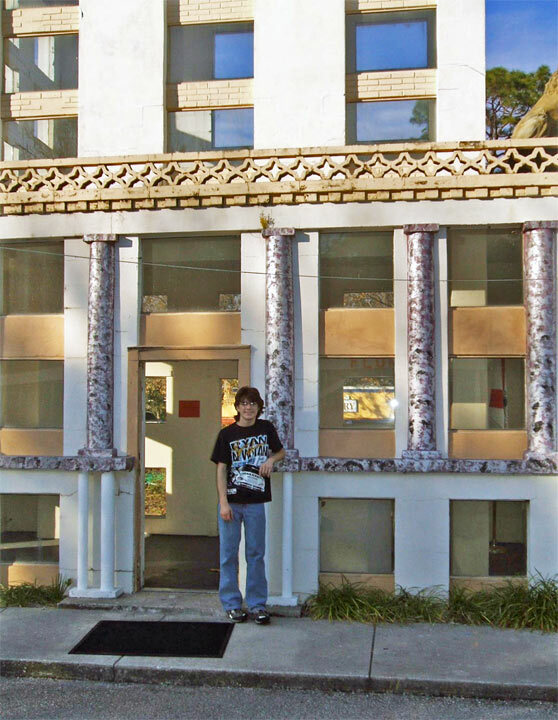 Ryan in front of Tampa City Hall at Kid City, 2007. The music shop (?) at Kid City, 2007. Formerly the Community Church. Photo courtesy of Ryan Martin. 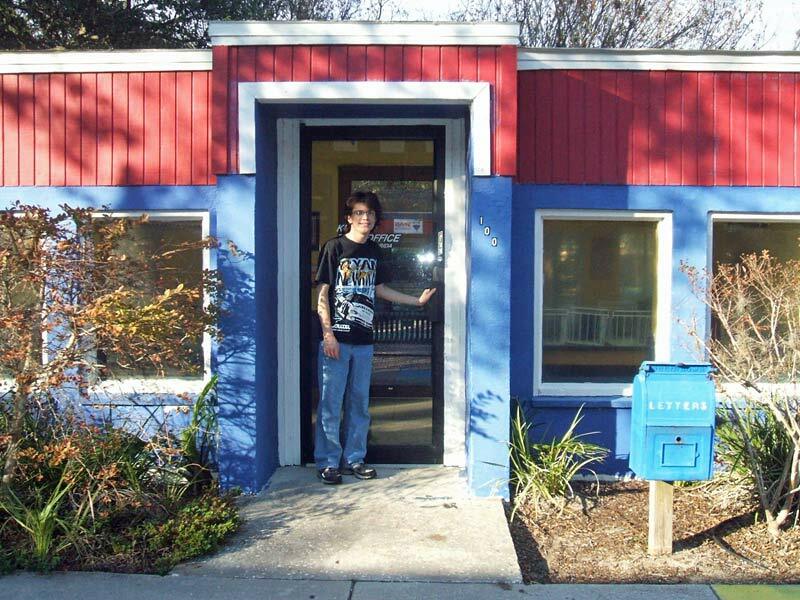 Ryan in front of the Post Office at Kid City, 2007. Photo courtesy of Ryan Martin. 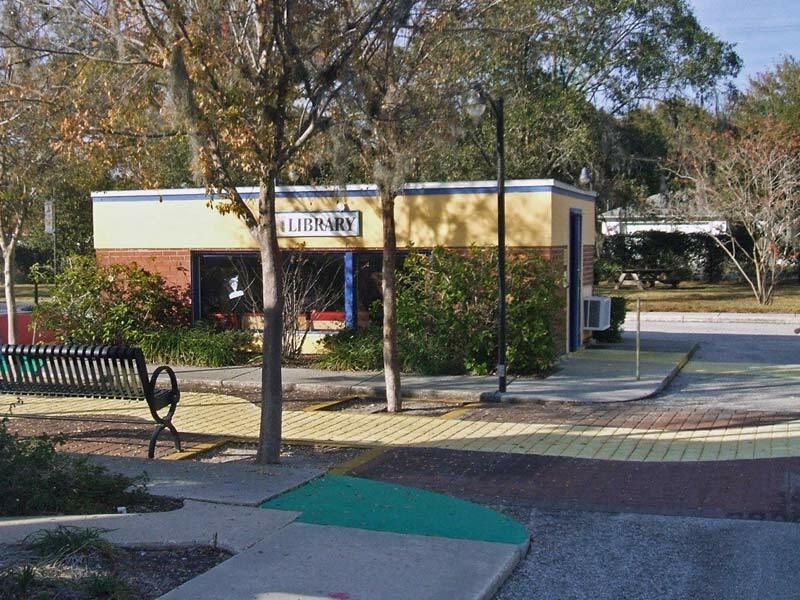 The Library at Kid City, 2007. 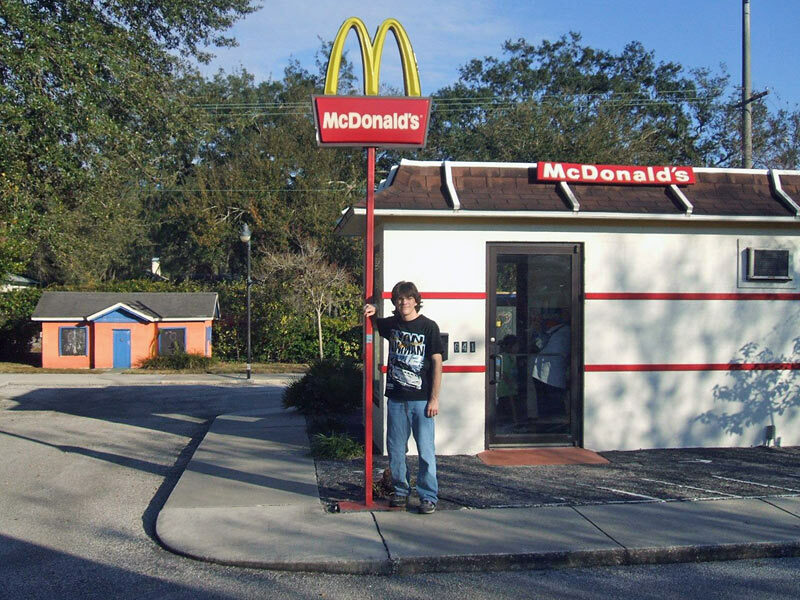 Ryan in front of McDonald's at Kid City, 2007. Photo courtesy of Ryan Martin. 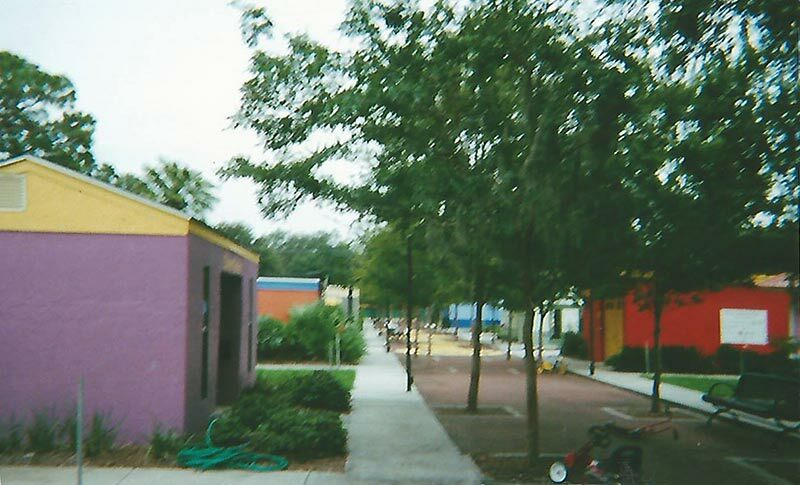 The residential neighborhood at Kid City, 2007. Photo courtesy of Ryan Martin. This map was the last one used at Kid City. 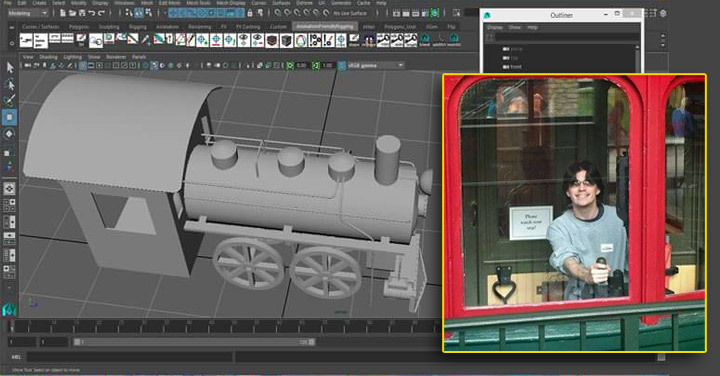 Image courtesy of Ryan Martin. Kid City's charter expired in 2008. 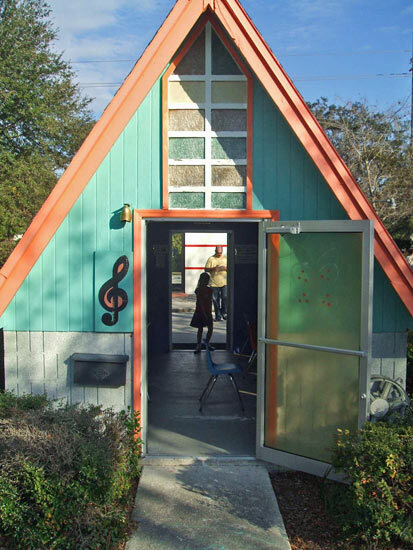 Prior to closing its doors, Kid City, the Children’s Museum of Tampa reached over 20,000 children and families each year through exhibits, programs and services. 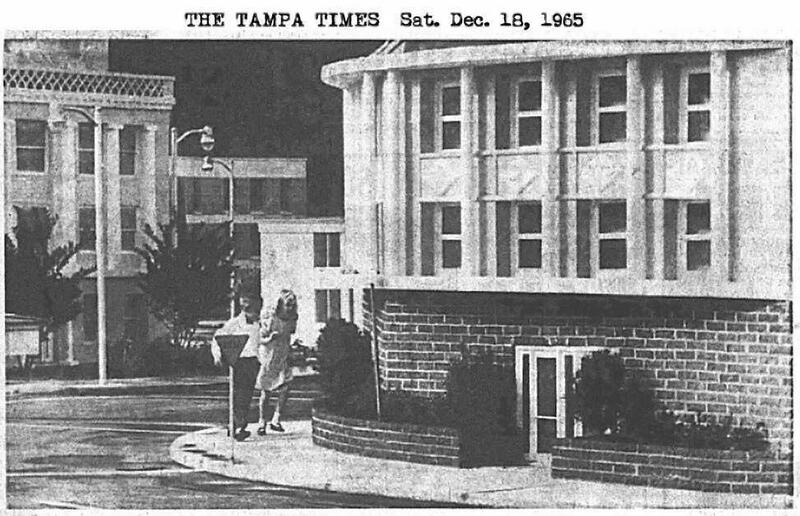 The modest attraction that has hosted Tampa's Children's Museum for decades closed, with construction that was to start that same month on a sprawling new facility downtown at Curtis Hixon Park. Kid City bid adieu on Dec. 8, 2008 with a free open house from 1 to 8 p.m. and a closing ceremony at 6 p.m. which featured a proclamation by Mayor Pam Iorio. 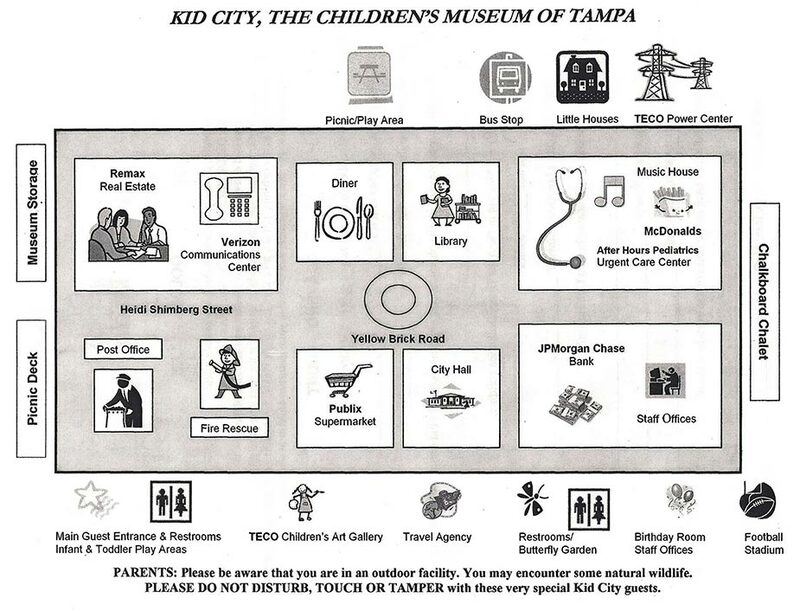 Al Najjar, executive director of the Children's Museum, said closing Kid City was one of the most controversial issues the board faced when he was hired in 2007. 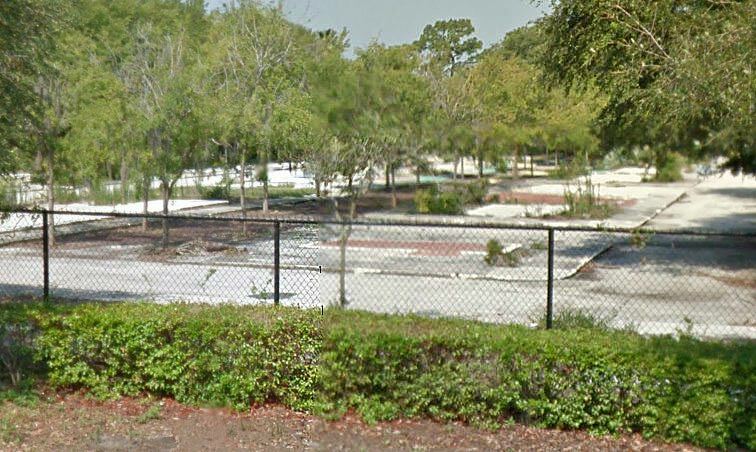 With the buildings decaying and public funds running short, the board opted to close it. "It's not the end of an era," Najjar said. "It's the beginning of a new one." 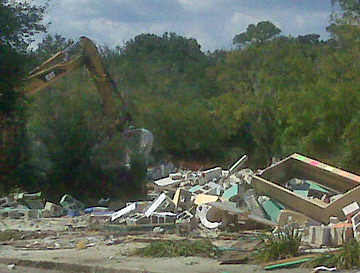 In Sept. of 2010 it was demolished despite the wishes and efforts of many Tampa residents and even a Facebook Group. 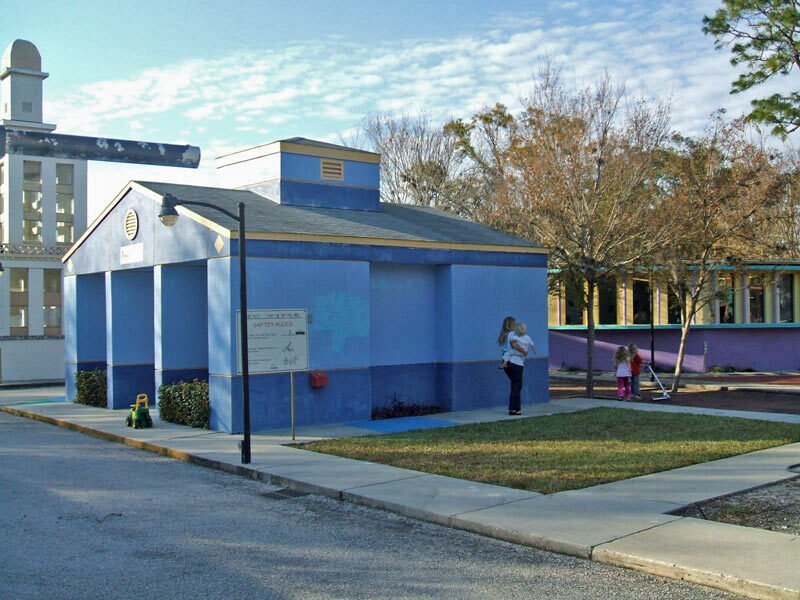 The city of Tampa deemed the site too expensive to take over and maintain and that the new Glazer Children's Museum downtown would fill the void. the dust, Sept. 22, 2010. 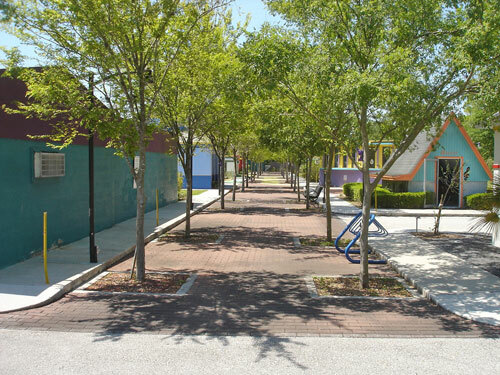 The City of Tampa provided the Museum a land lease in downtown Tampa at Curtis Hixon Waterfront Park on which to construct the facility. The three-story, 53,000-square-foot Children's Museum was set to open in mid 2010. It planned to feature 175 exhibits ranging from a theater where children can make video recordings of their performances to a multistory tree that kids can climb to follow the path of water from the tree's roots to clouds above. The old Kid City was to become storage space for its downtown replacement. "I'm nostalgic about what we started," Winters said. "But when your children go off to college, they grow up, they mature. And that's what the museum has done." 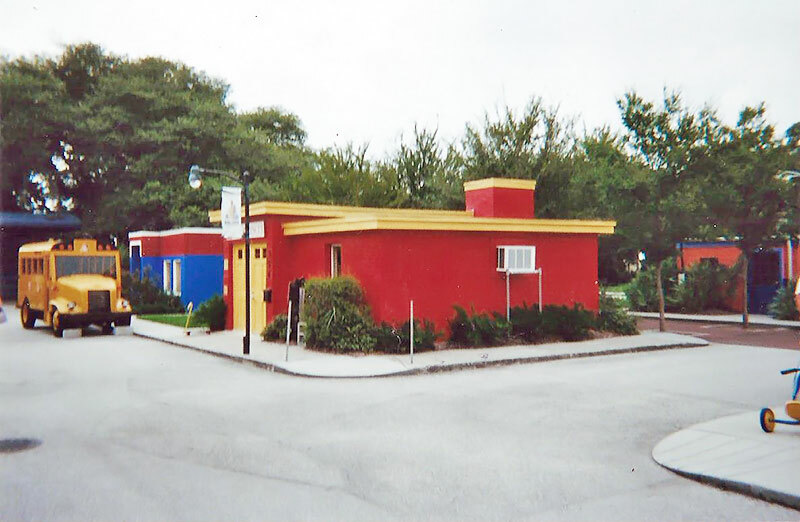 In October, 2007, the Museum was named the Glazer Children’s Museum in honor of the Glazer Family Foundation’s lead gift of $5 million. Construction of the building began in March 2009 and was completed in April 2010. The Museum opened its doors to the public on September 25, 2010. Now it sits as a vacant lot overgown with weeds. 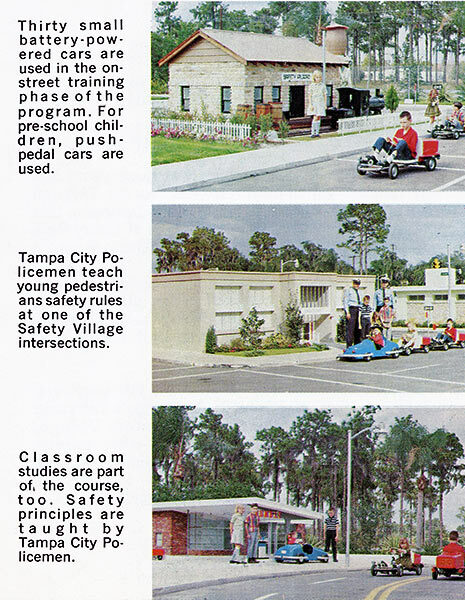 Original Kid City Closes, But New One Coming, Tampa Bay Times article by Janet Zink, Dec. 8, 2008. 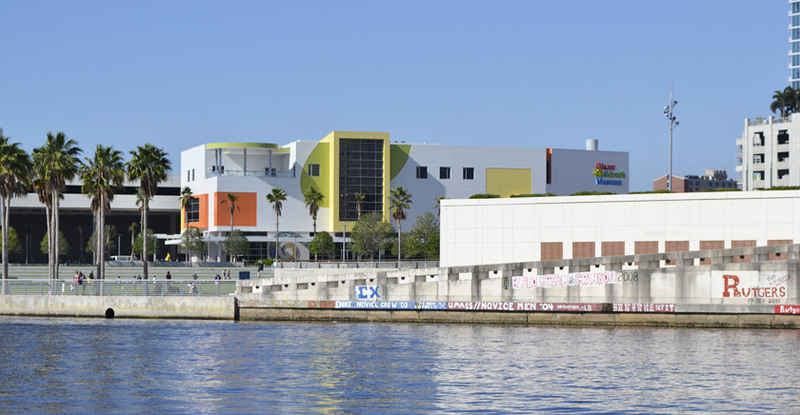 The Glazer Children's Museum downtown Tampa, as seen from Plant Park across the Hillsborough River, April 2, 2011.